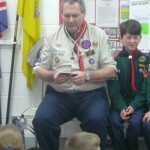 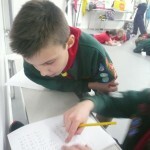 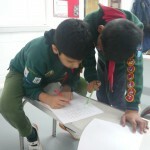 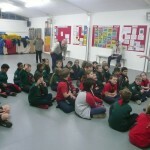 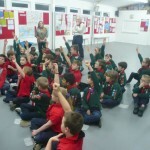 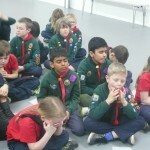 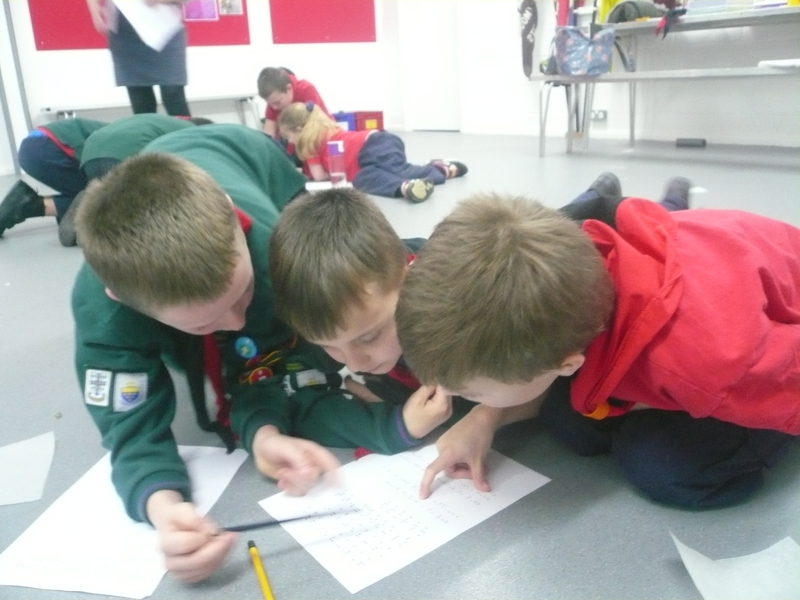 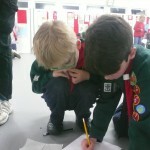 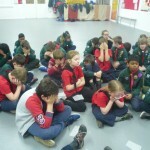 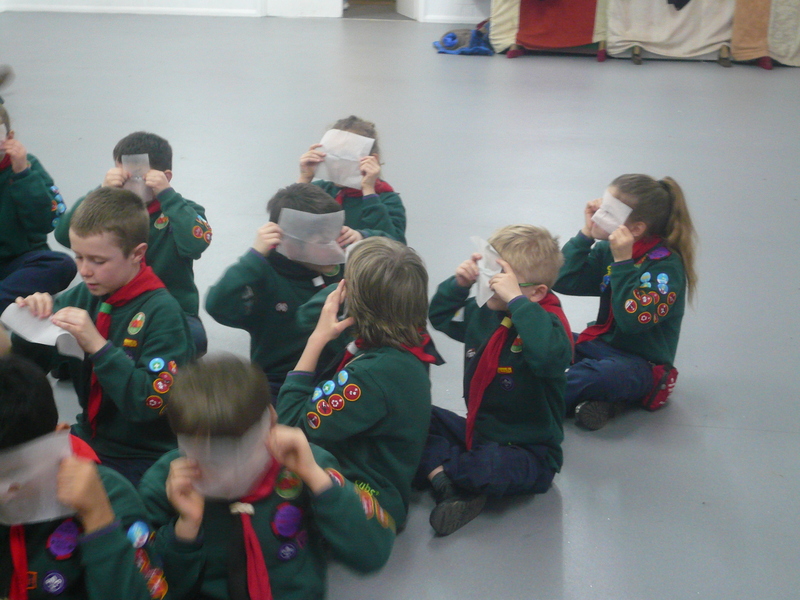 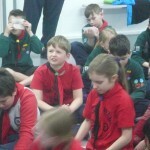 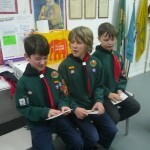 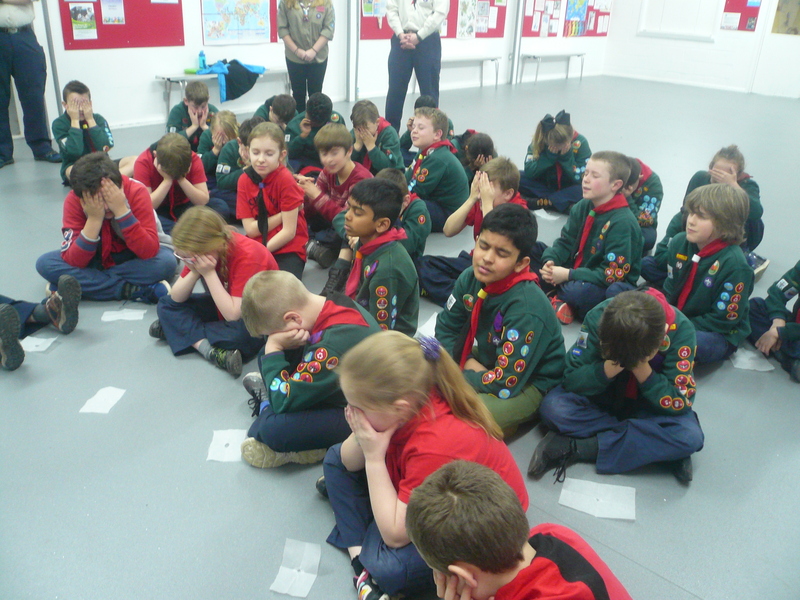 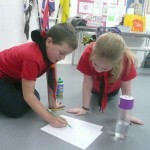 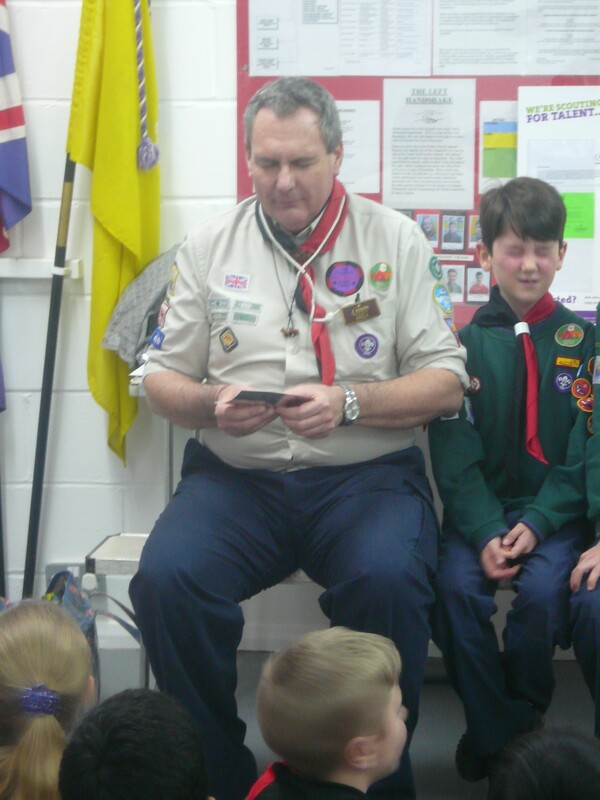 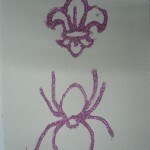 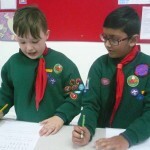 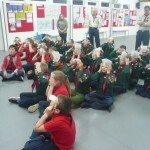 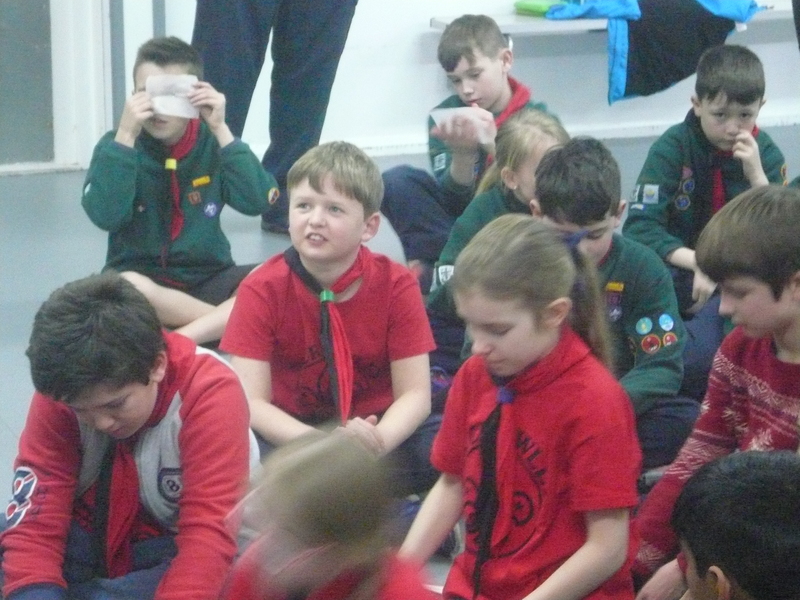 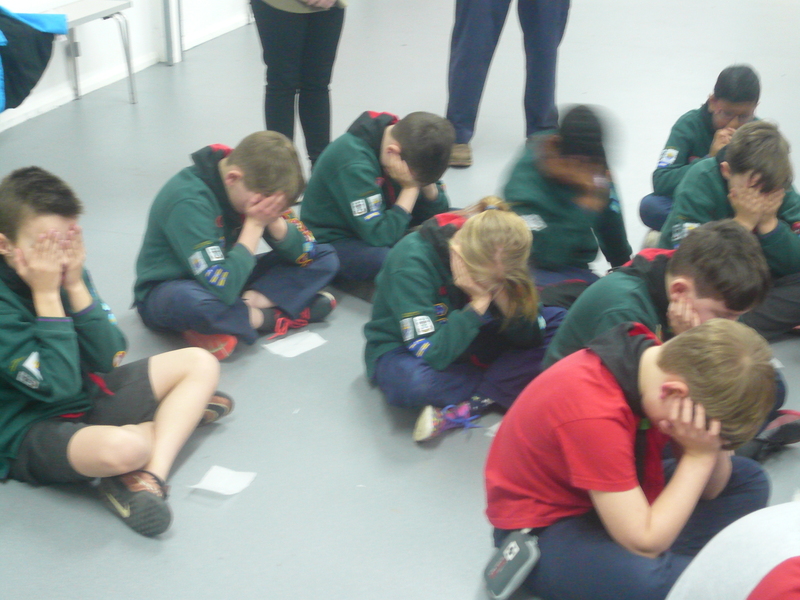 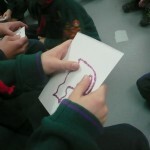 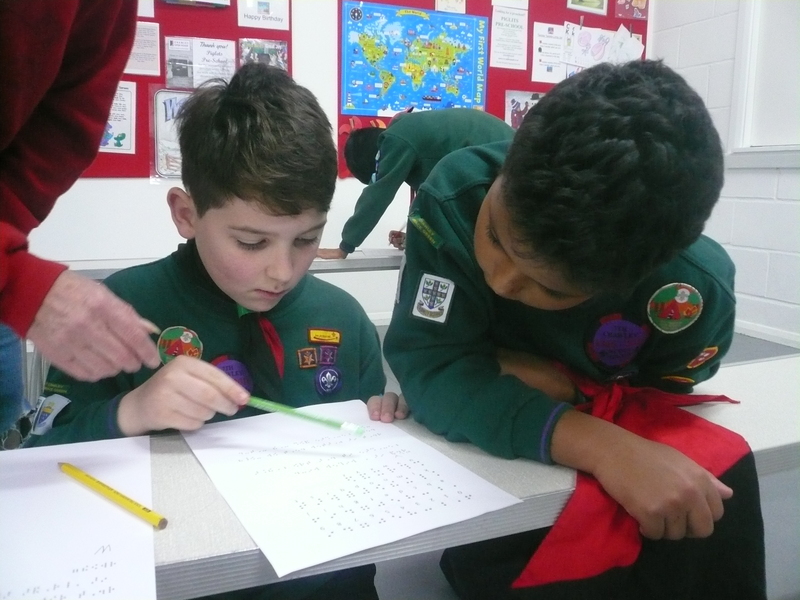 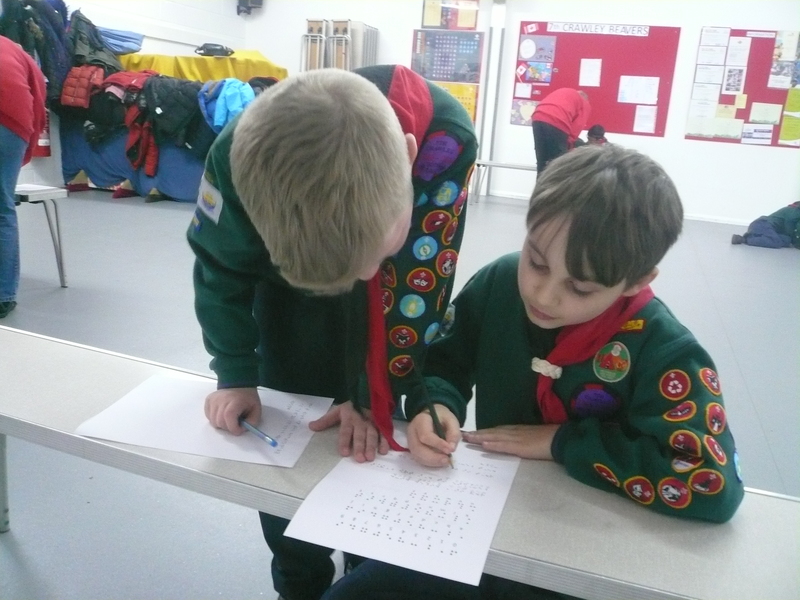 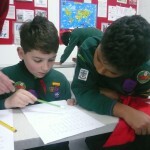 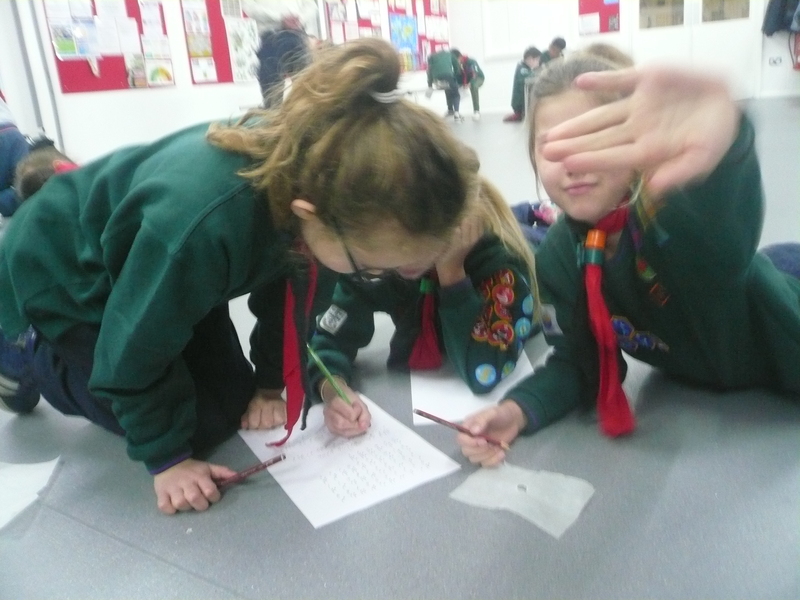 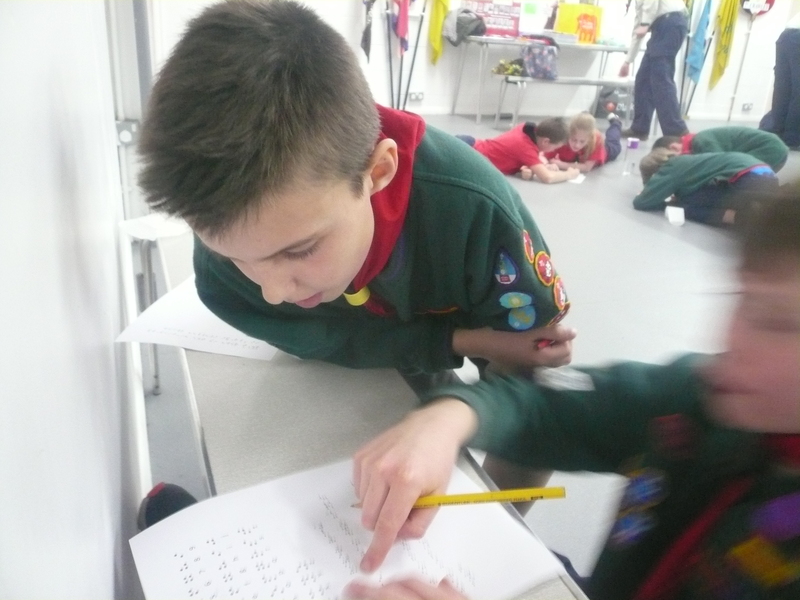 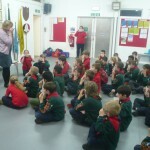 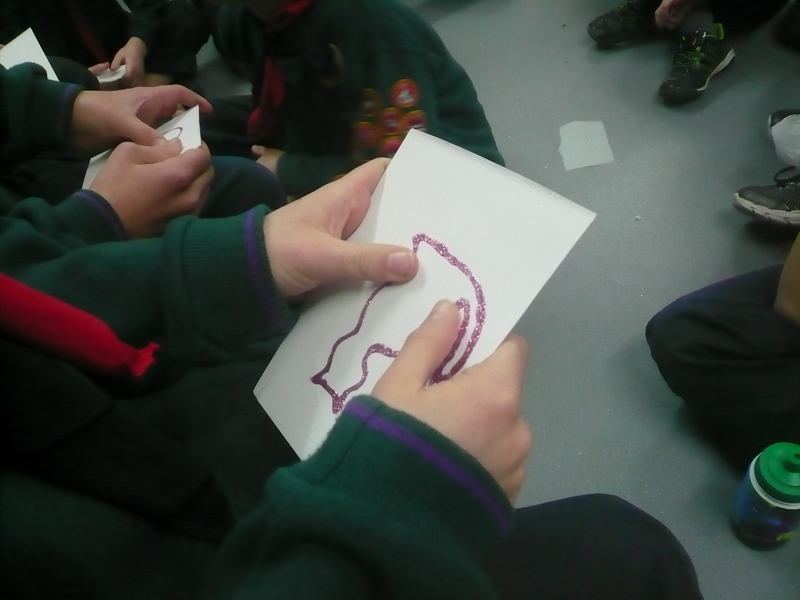 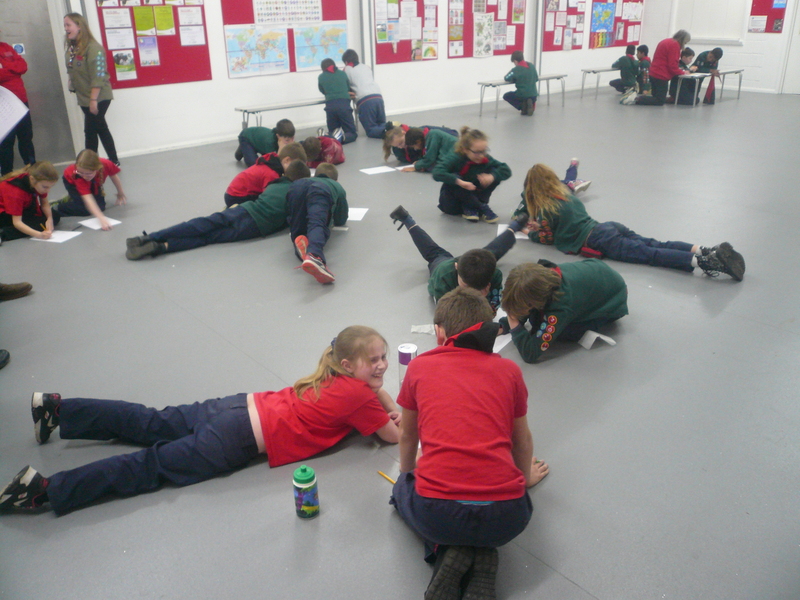 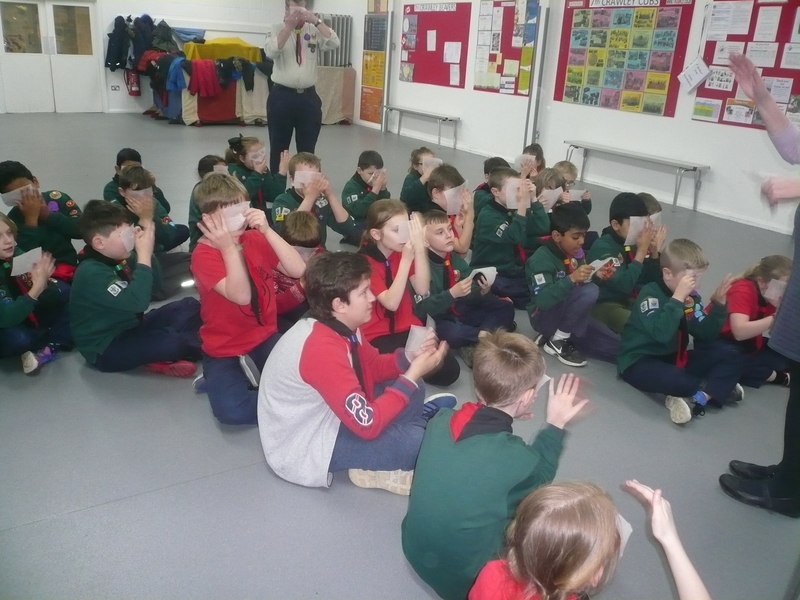 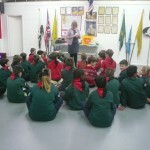 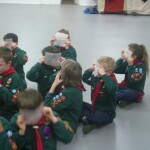 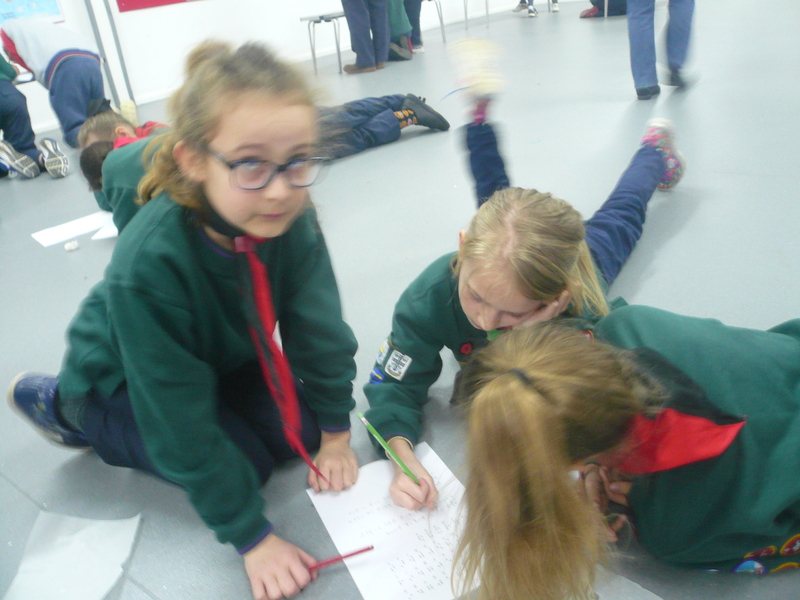 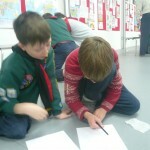 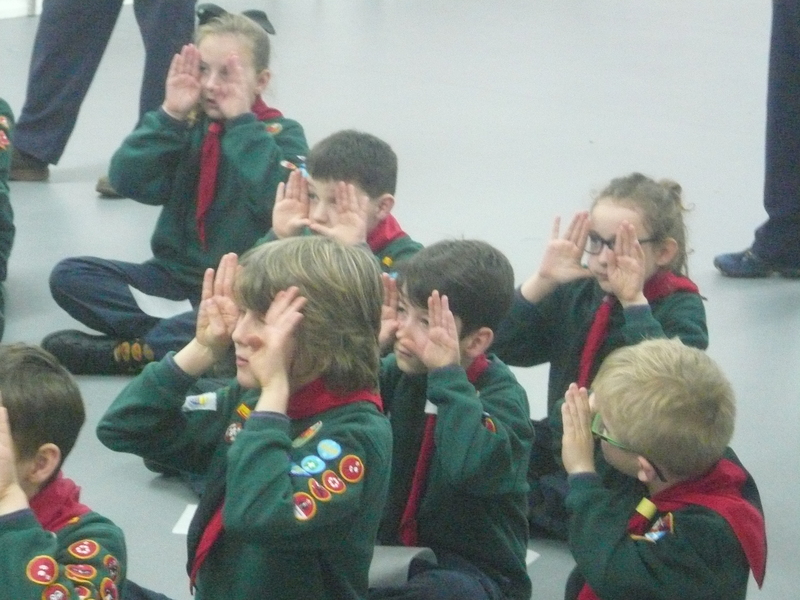 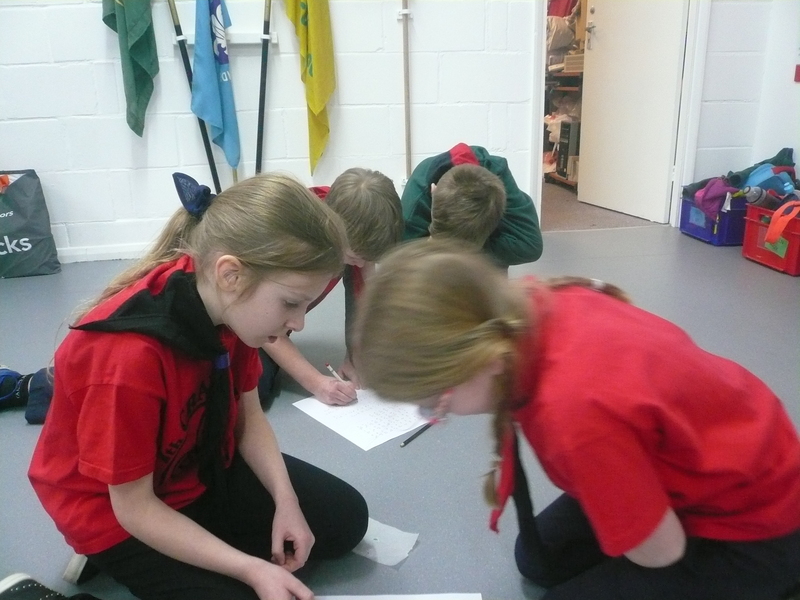 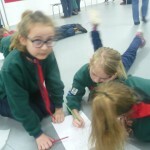 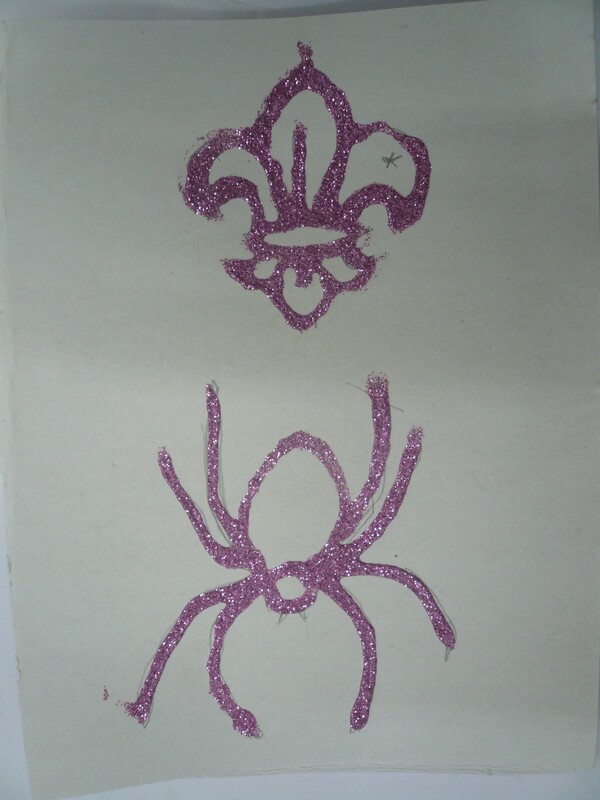 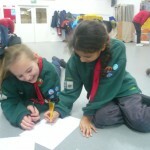 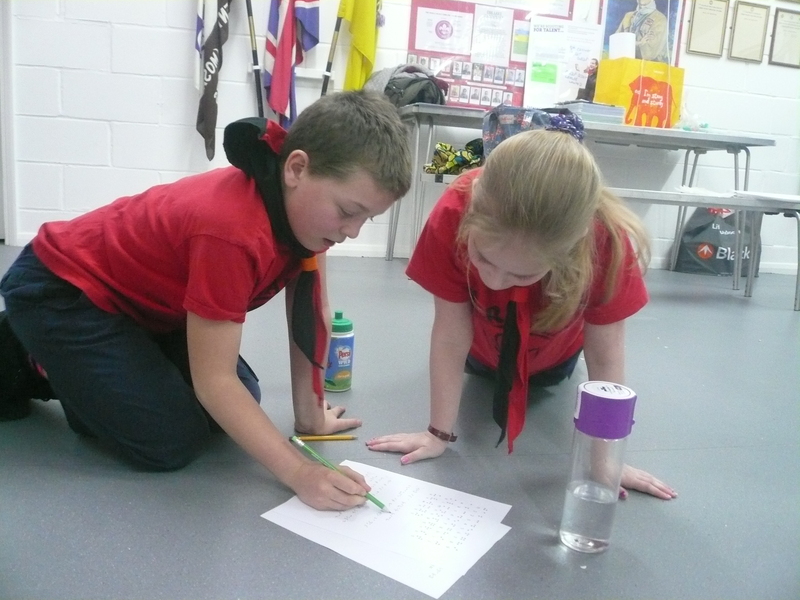 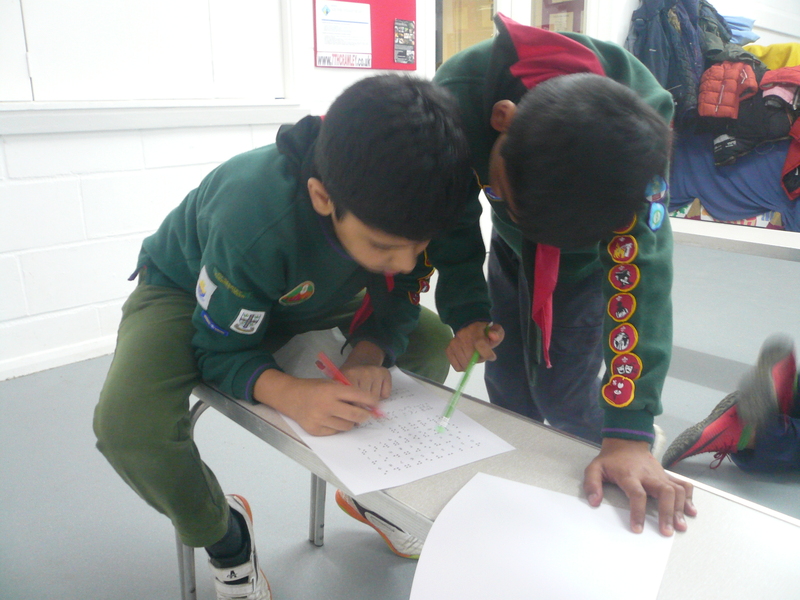 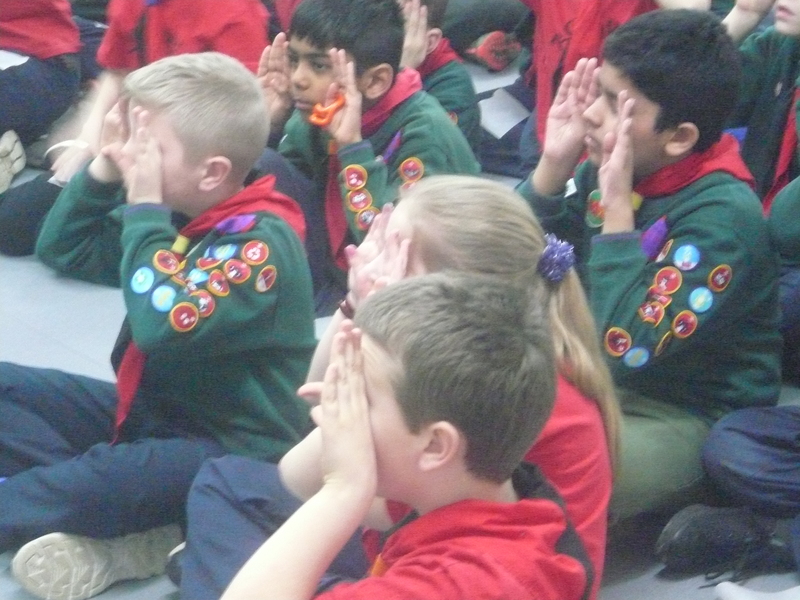 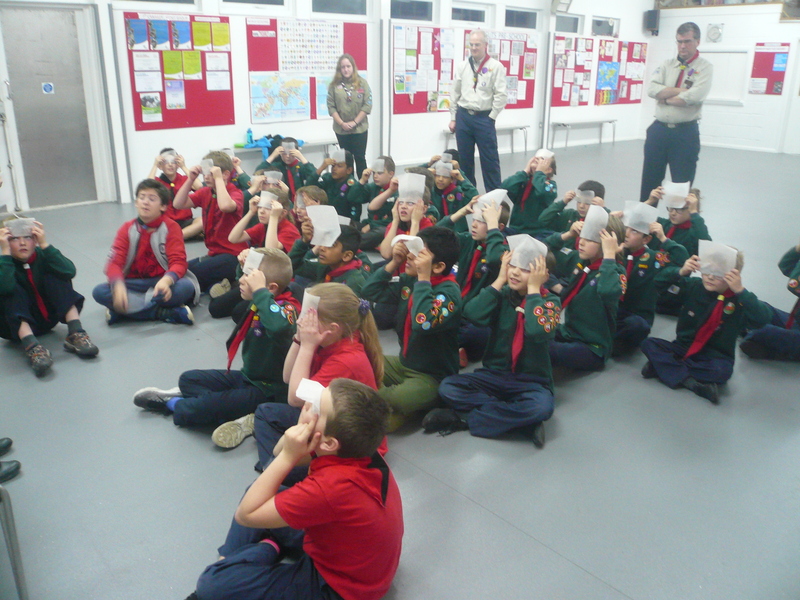 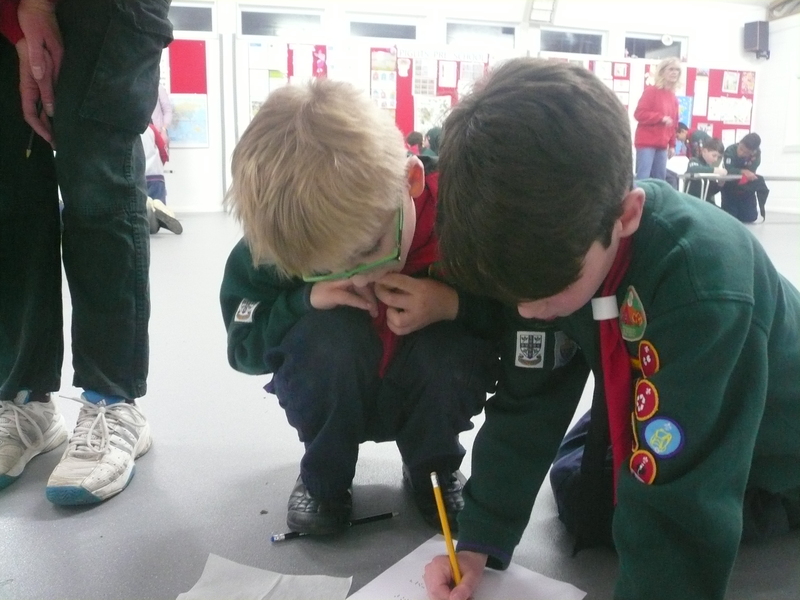 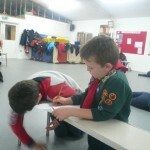 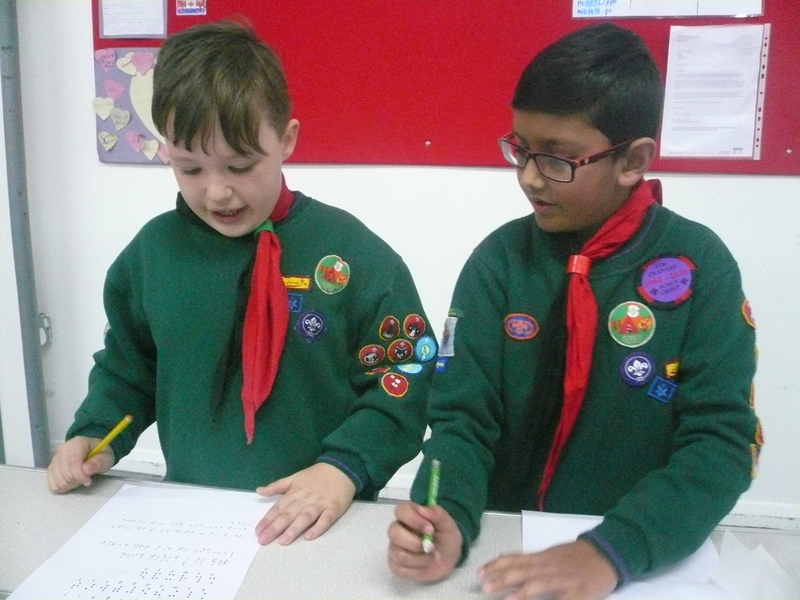 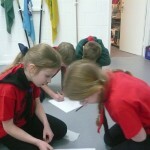 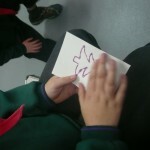 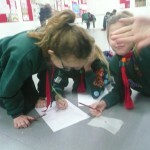 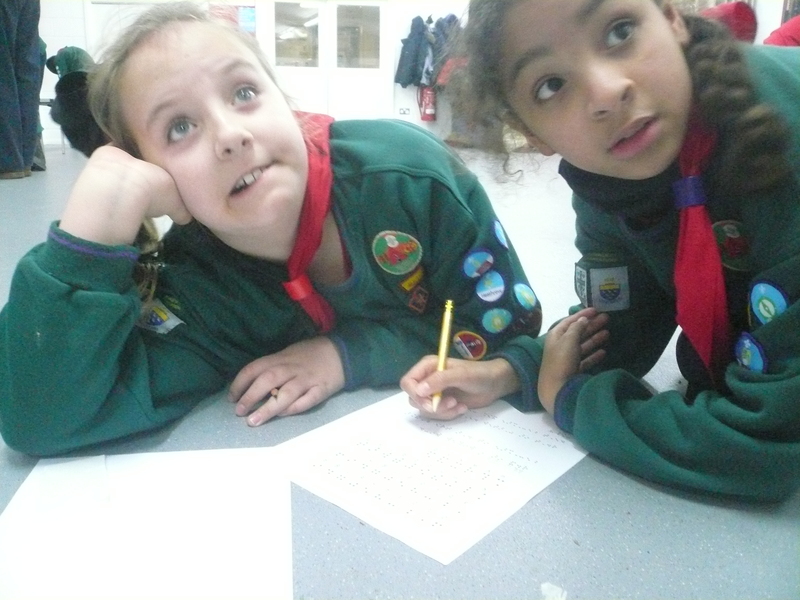 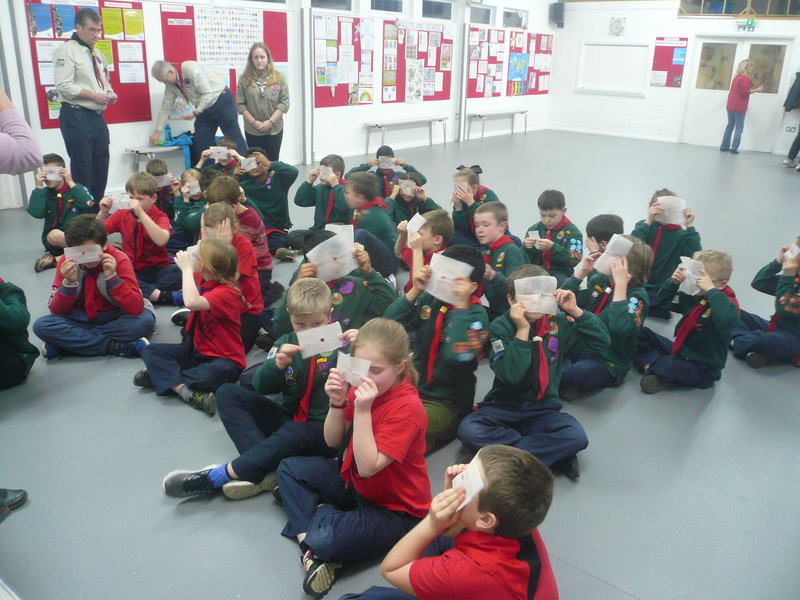 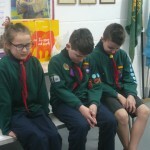 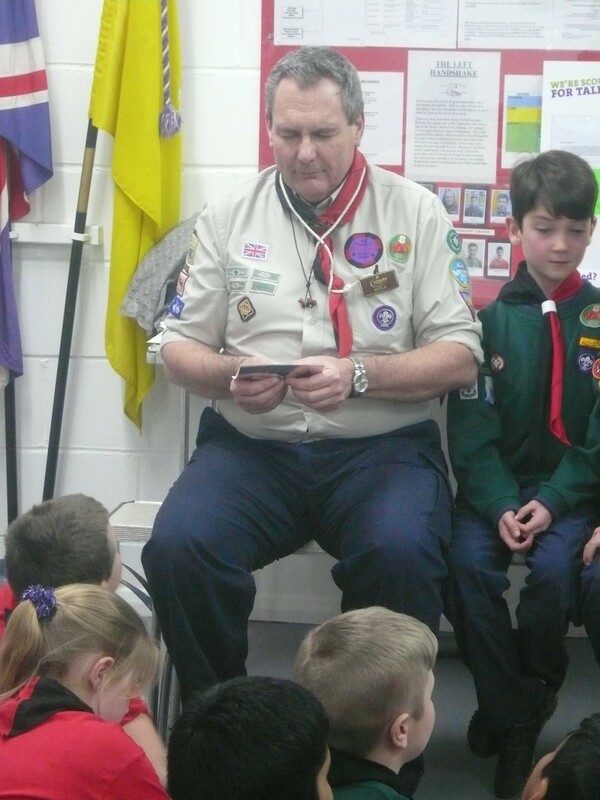 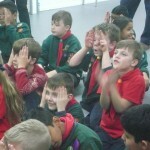 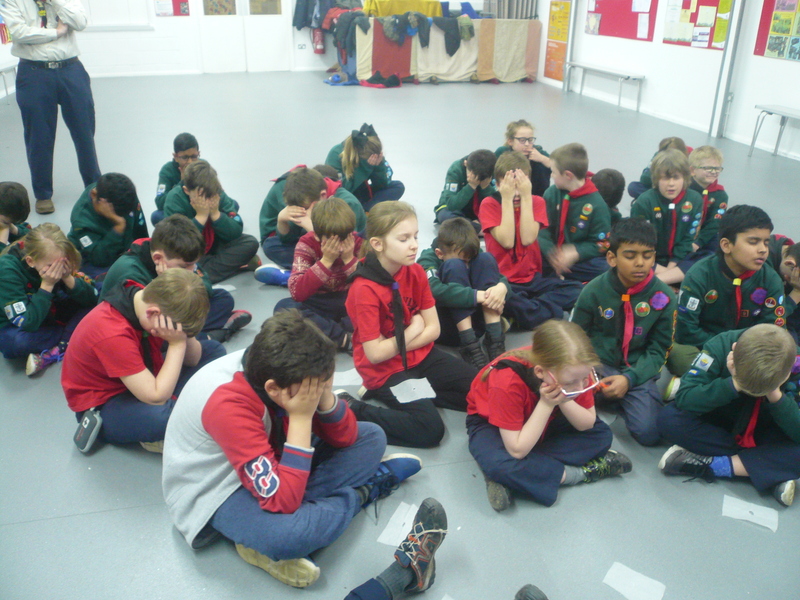 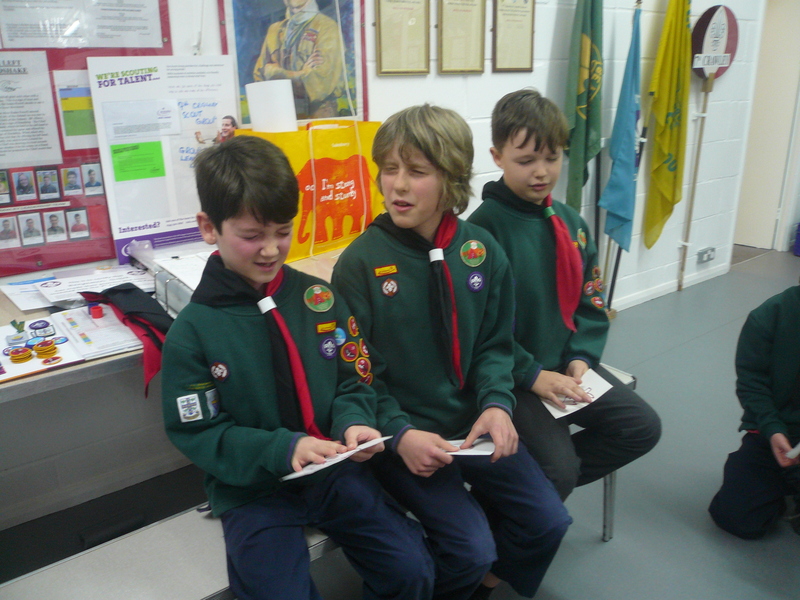 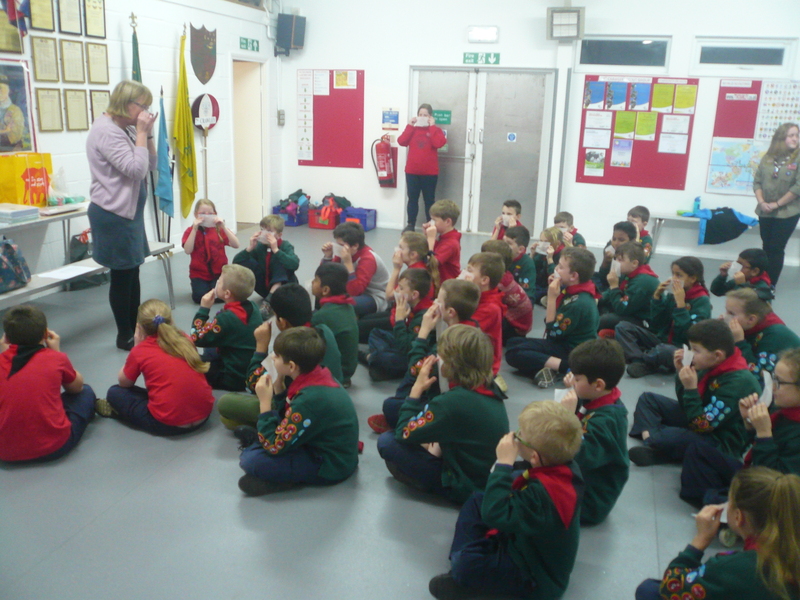 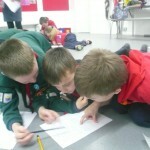 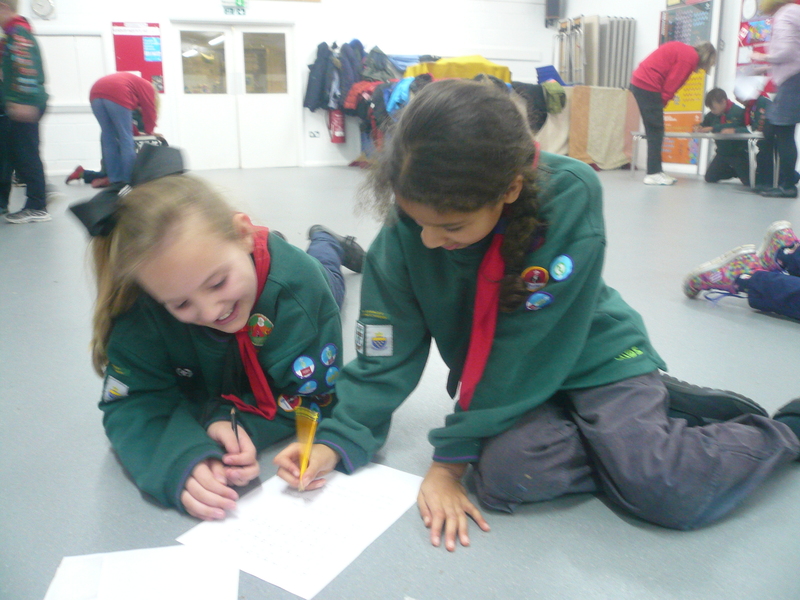 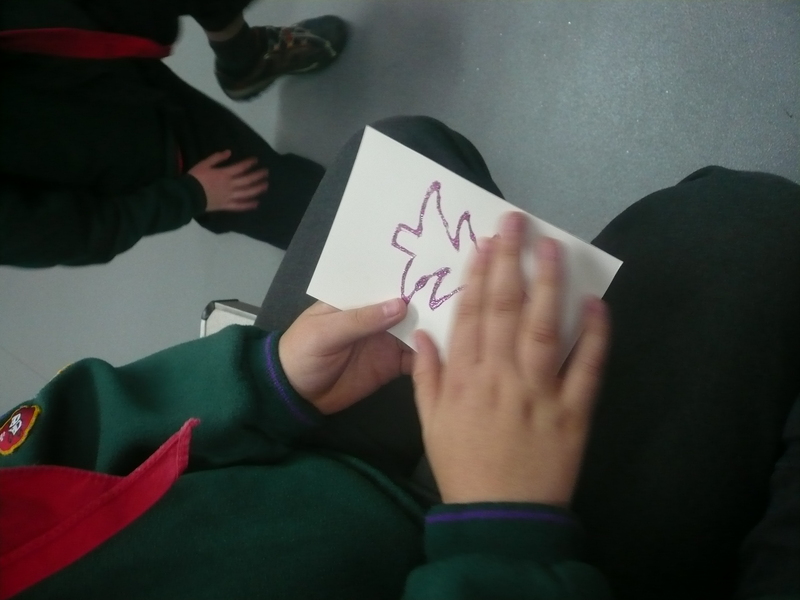 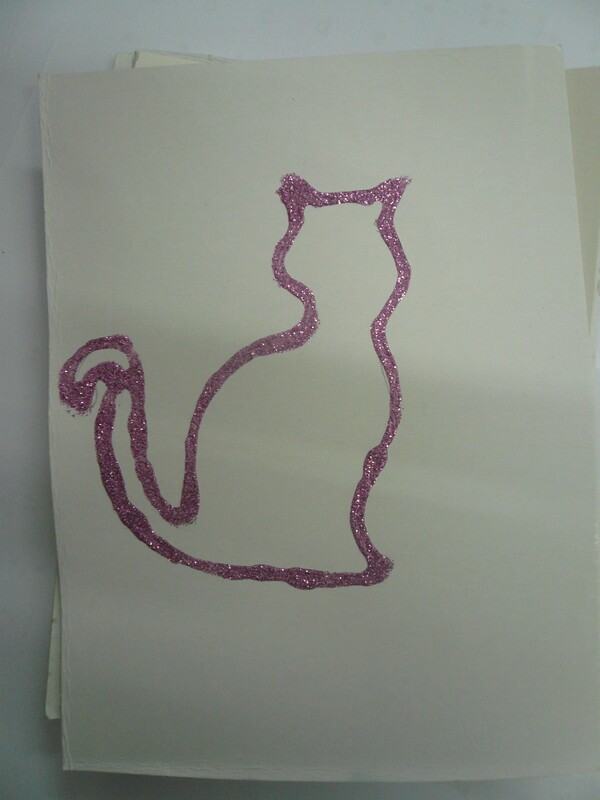 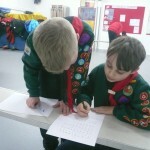 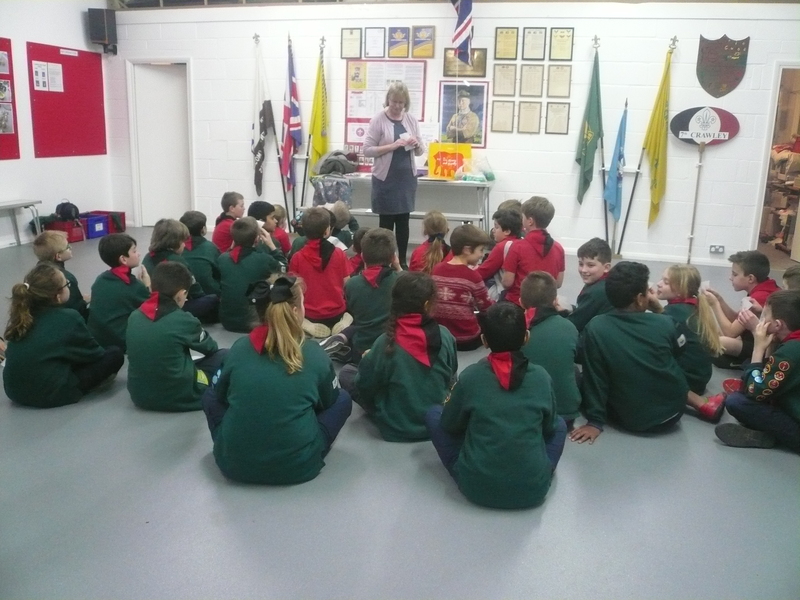 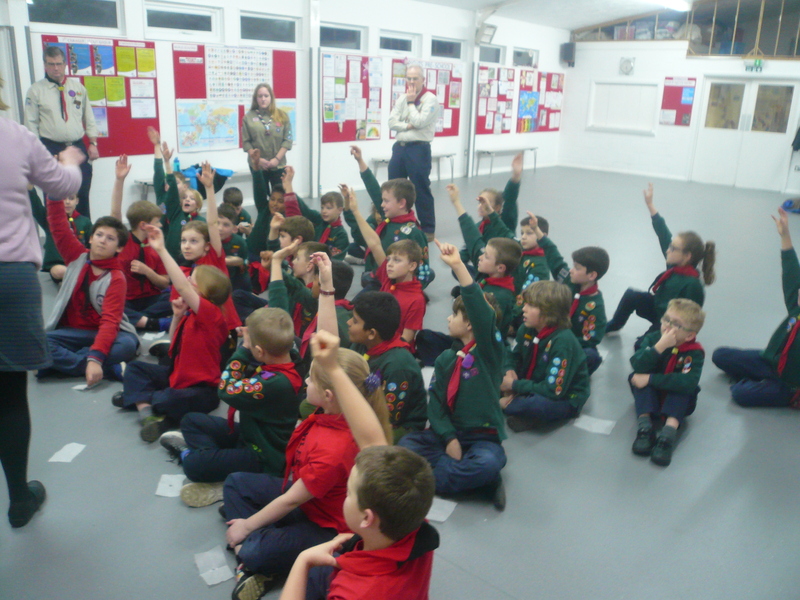 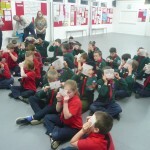 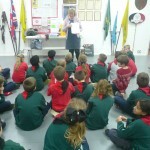 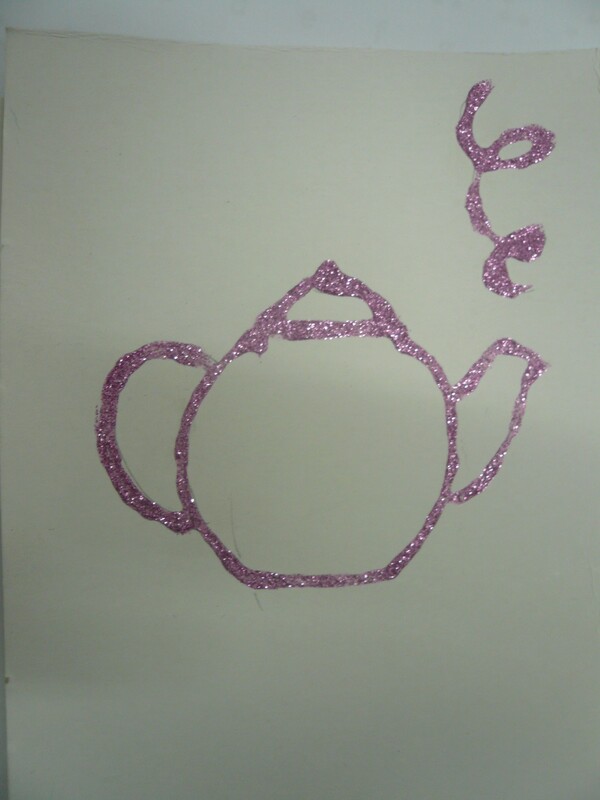 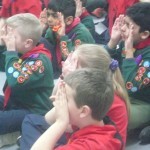 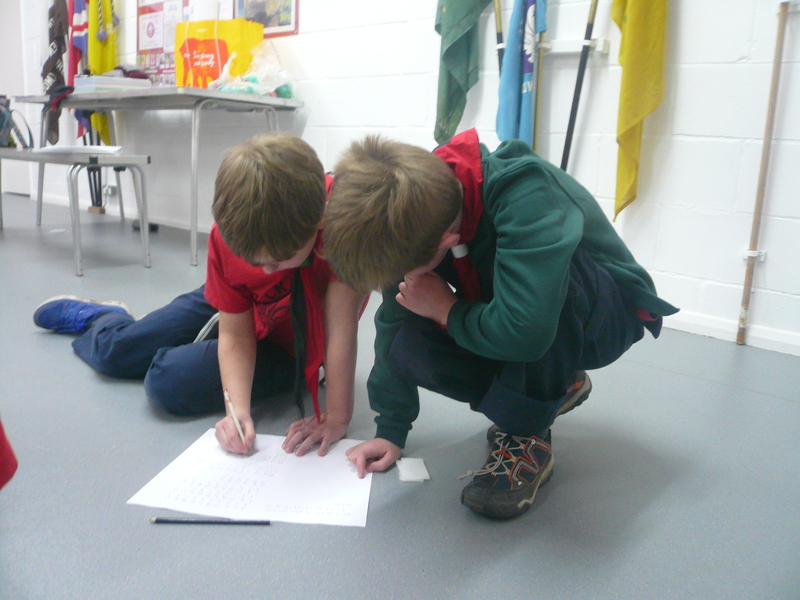 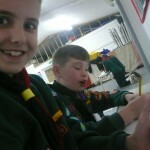 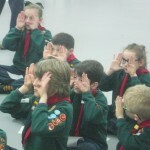 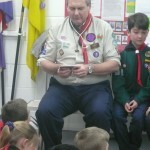 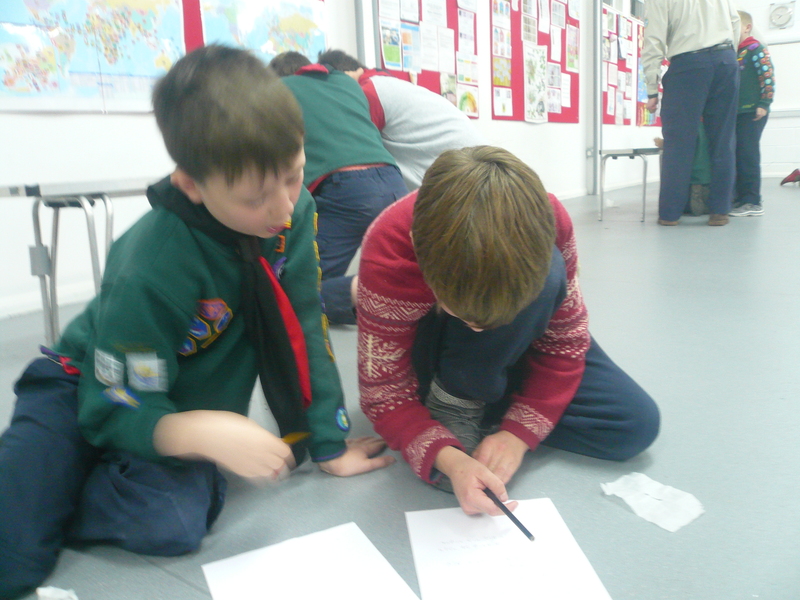 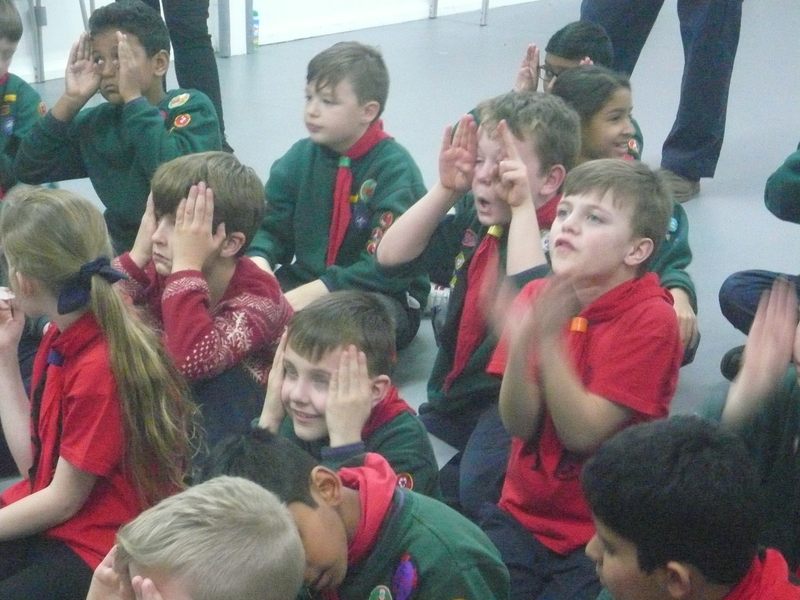 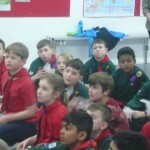 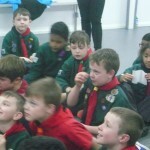 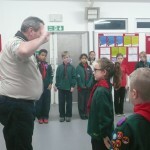 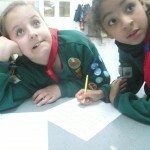 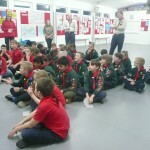 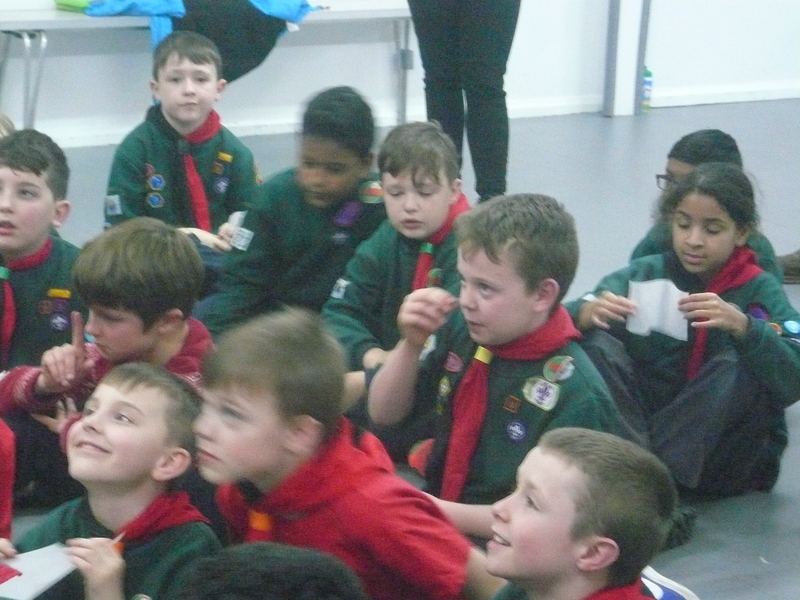 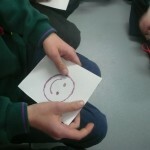 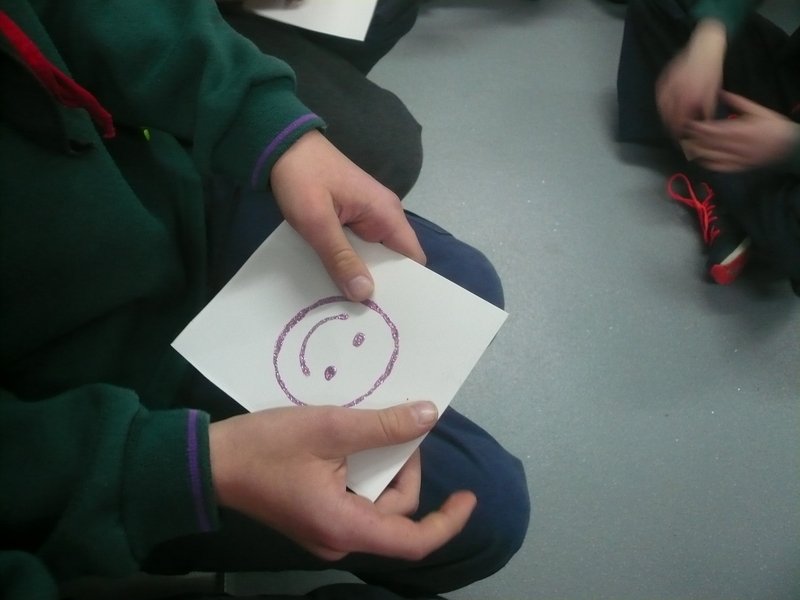 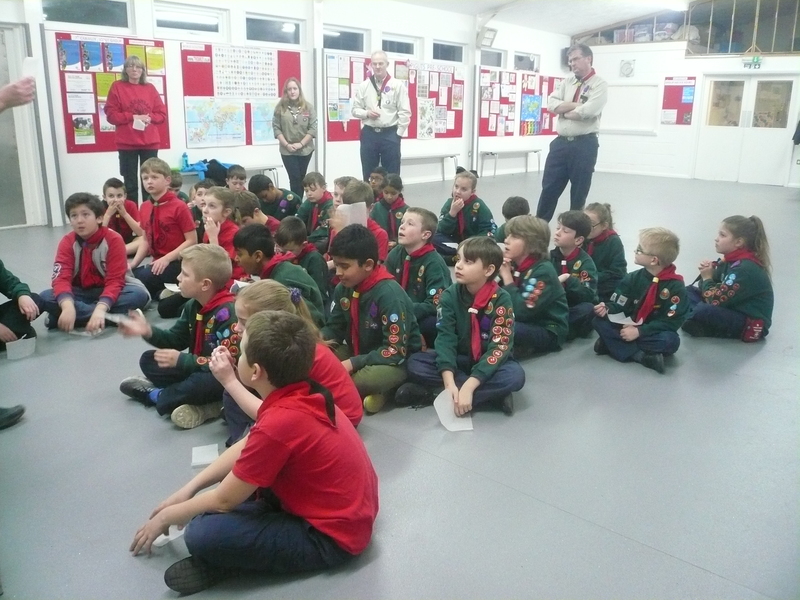 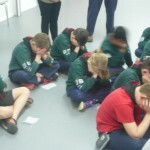 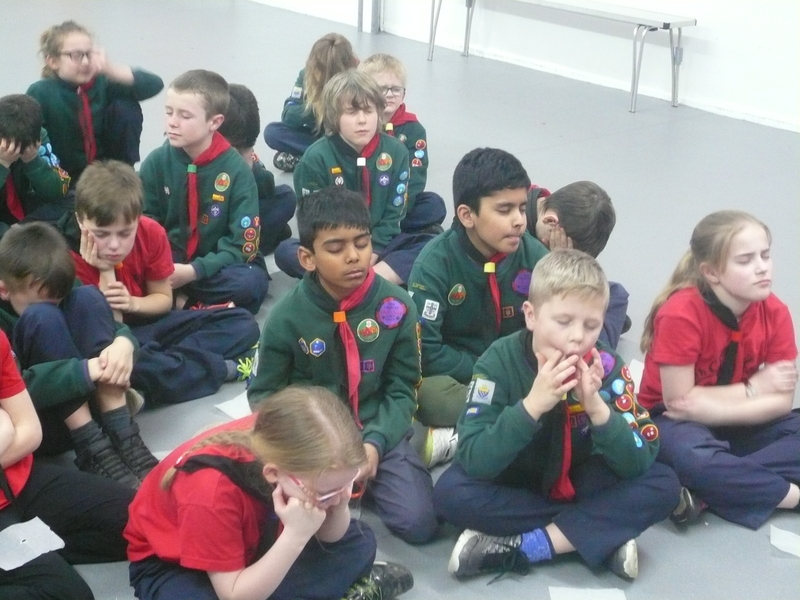 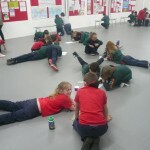 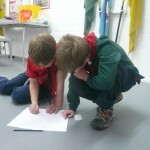 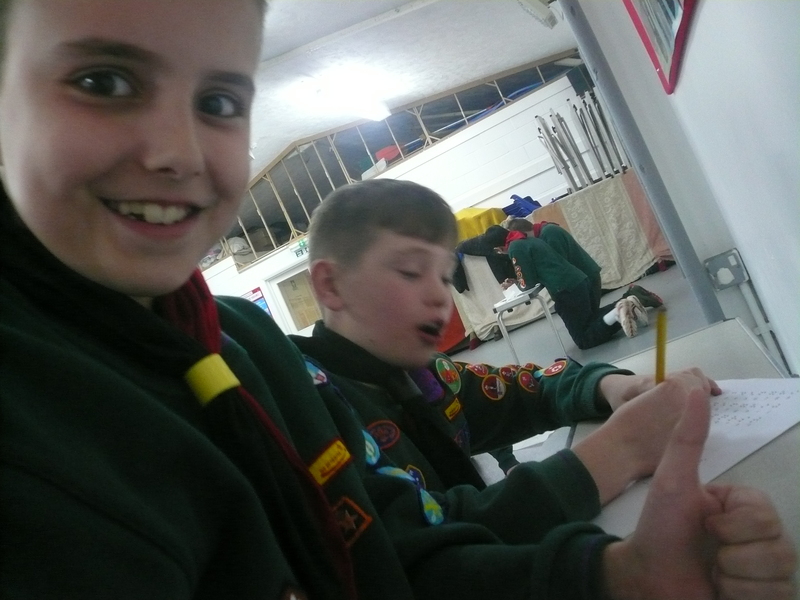 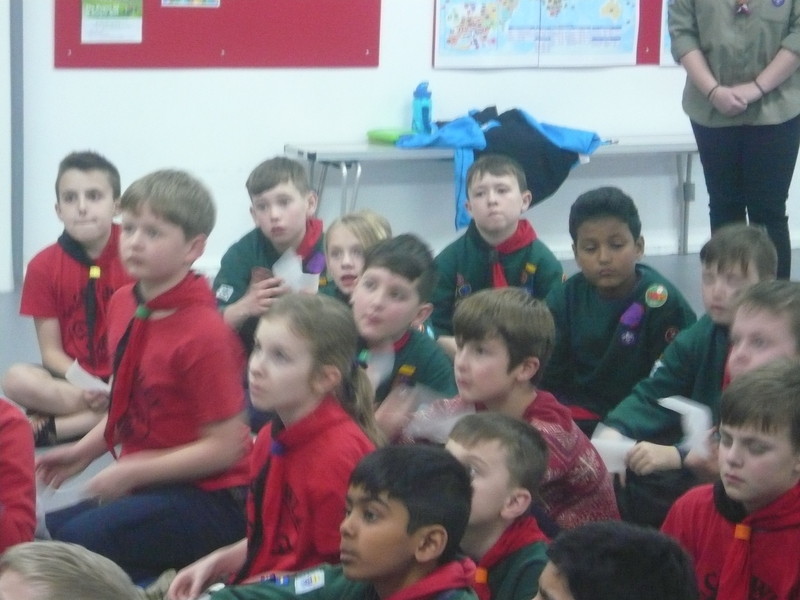 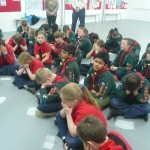 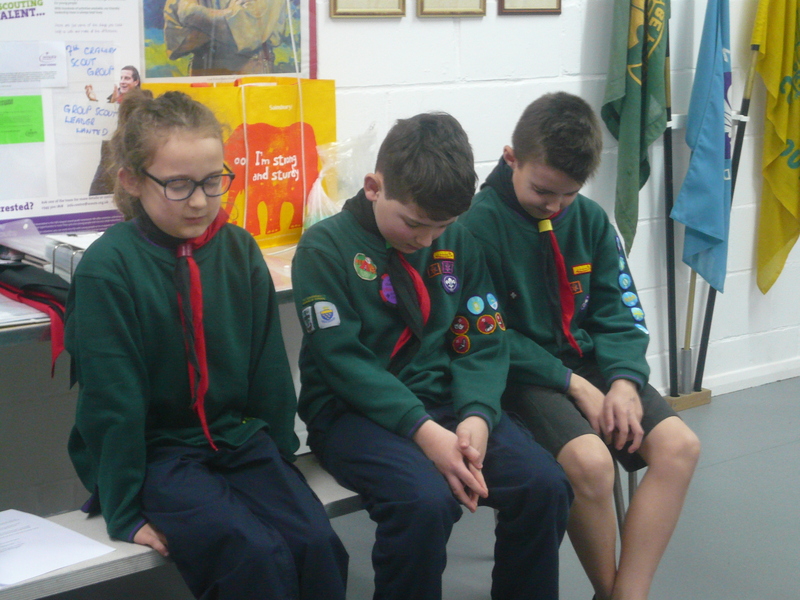 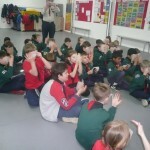 Some of the cubs, with their eyes closed, had to try and work out what picture was on a piece of paper (REALLY difficult!) 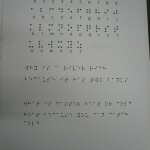 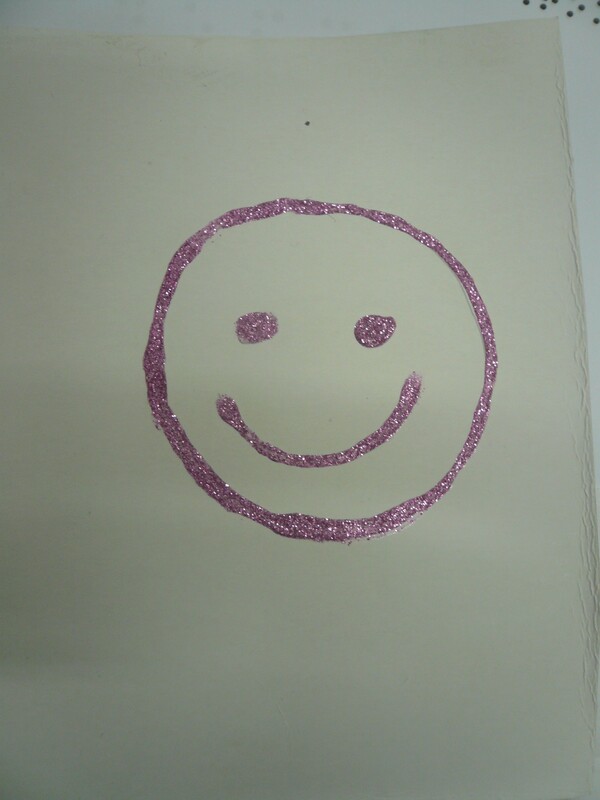 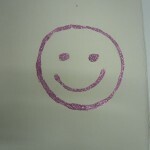 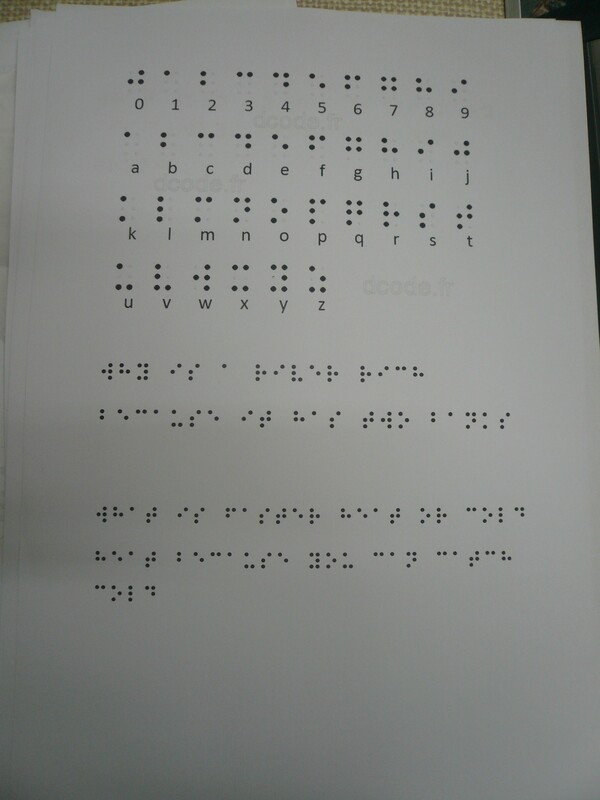 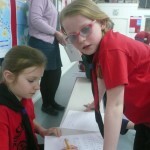 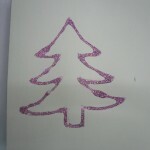 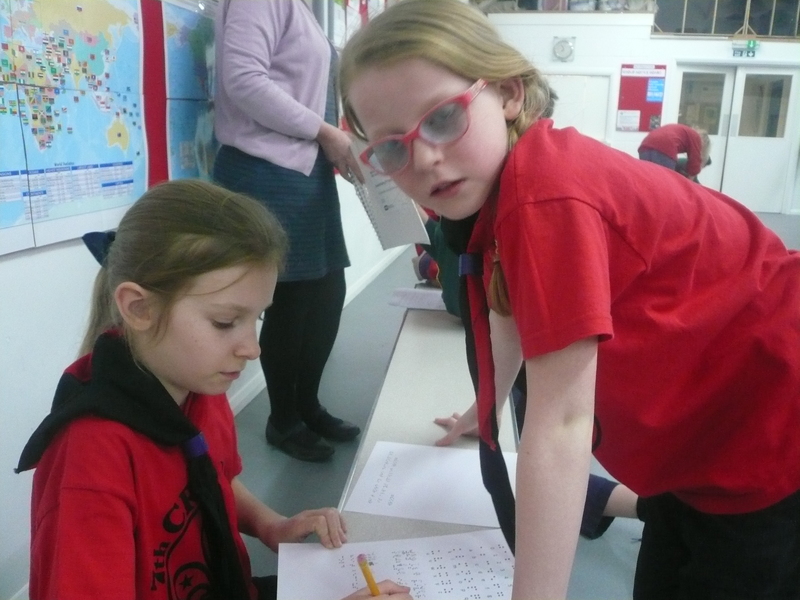 had a go at “reading” braille and then “de-coding” some Braille sentences. 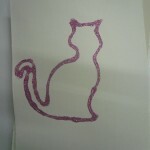 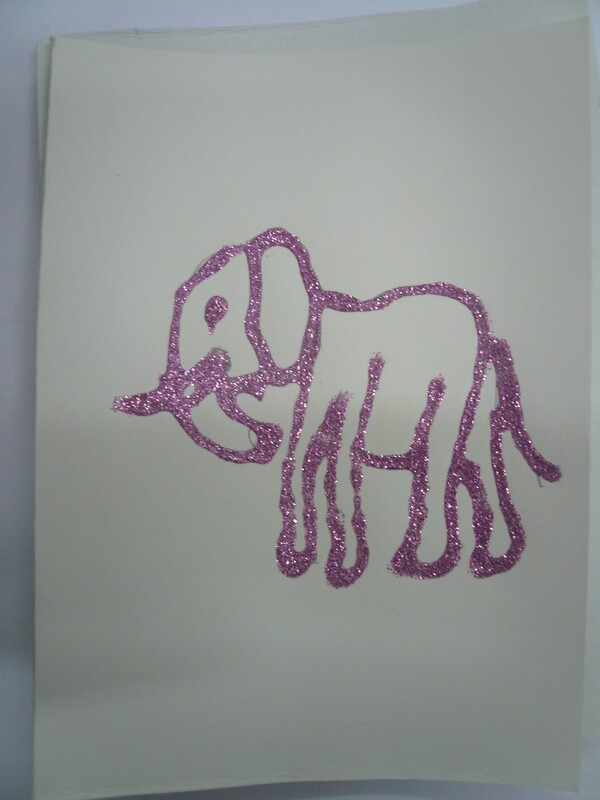 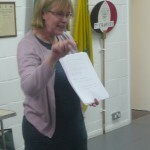 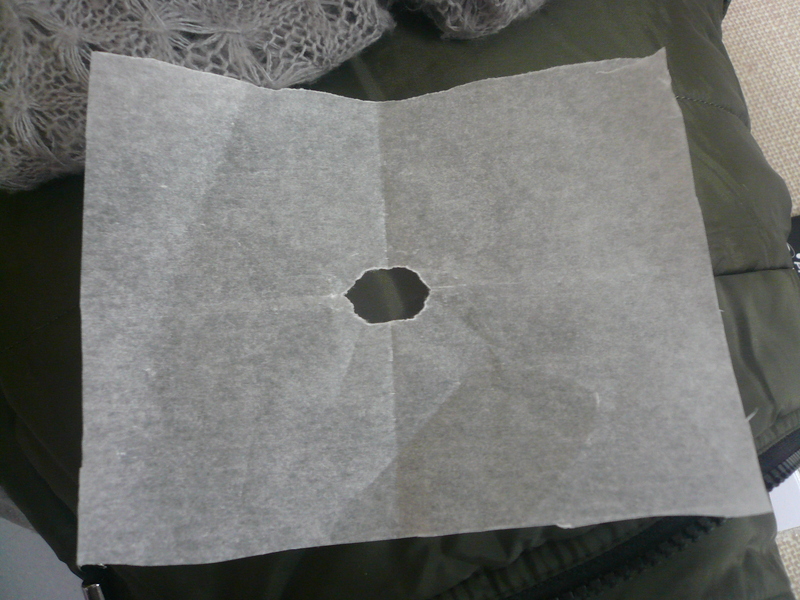 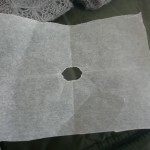 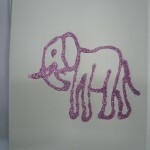 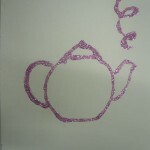 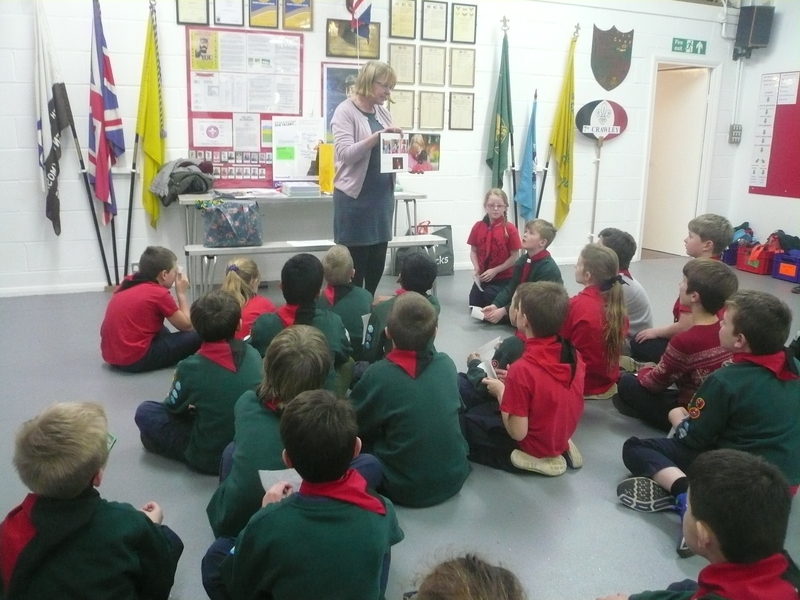 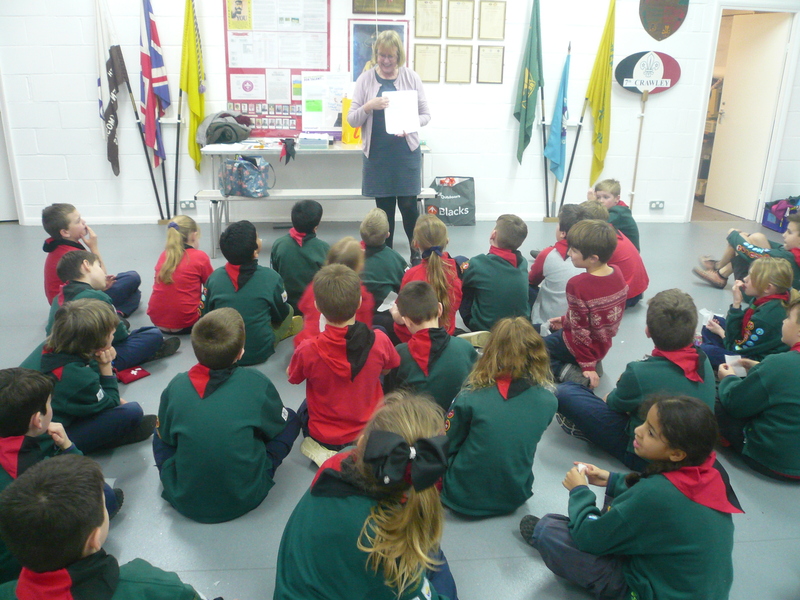 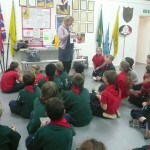 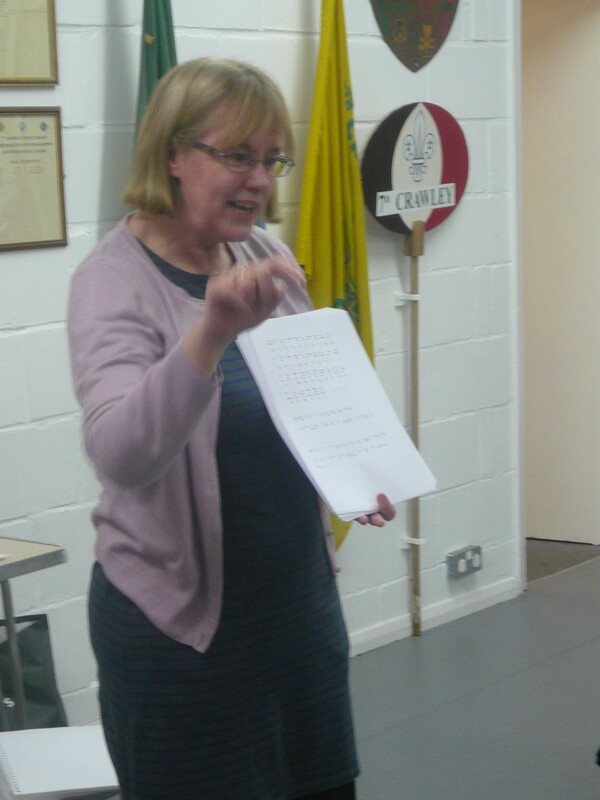 A really informative evening – thank you so much Sandra. 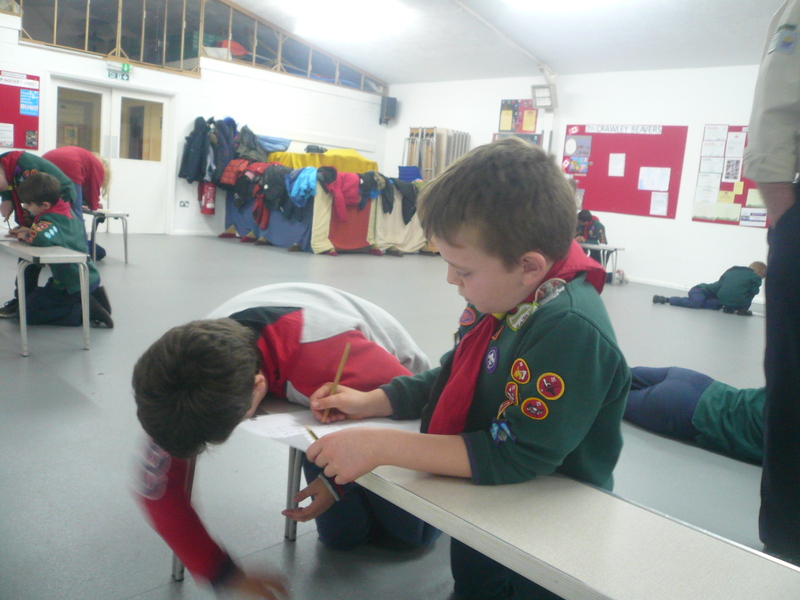 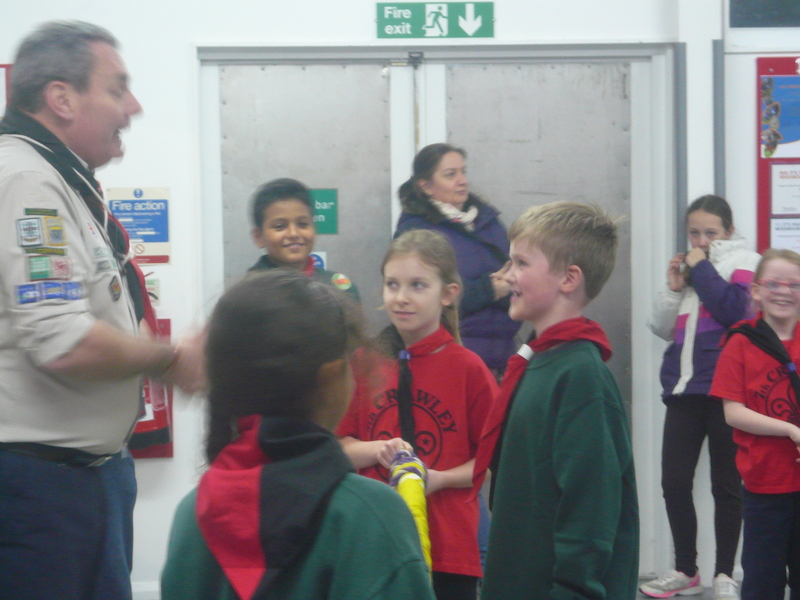 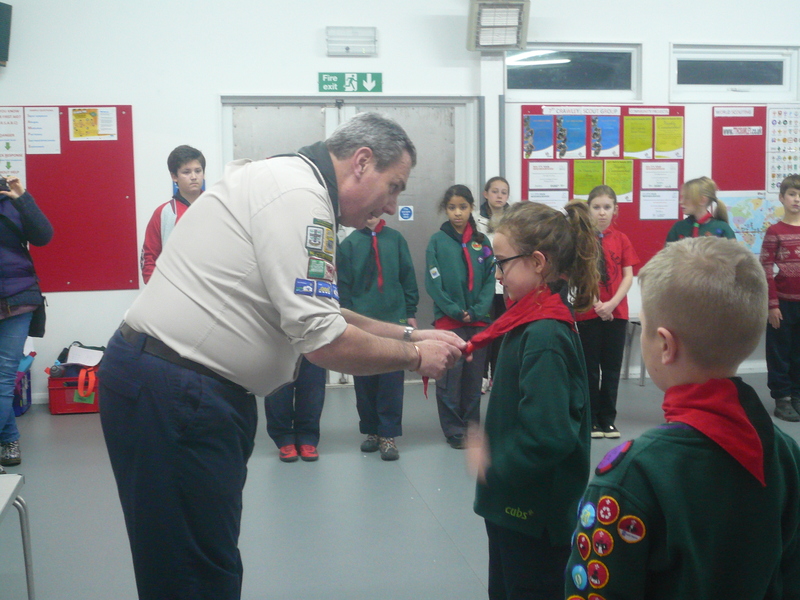 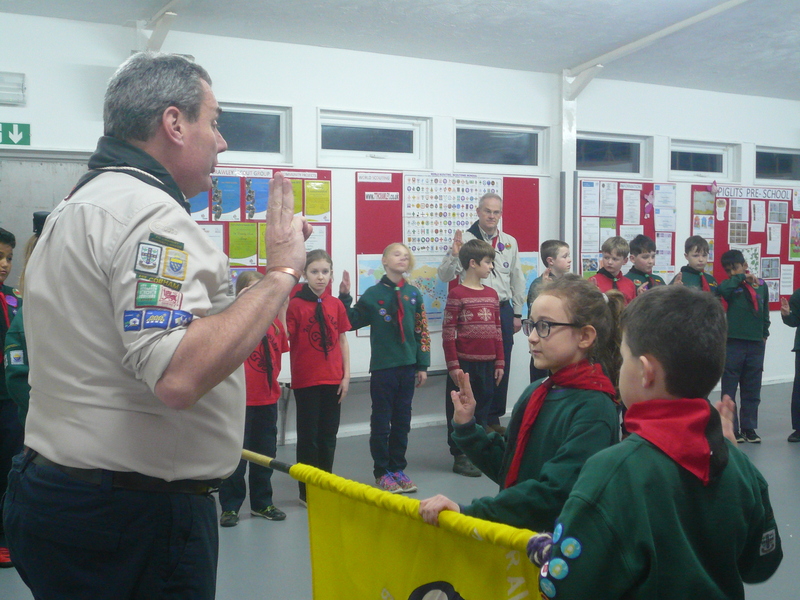 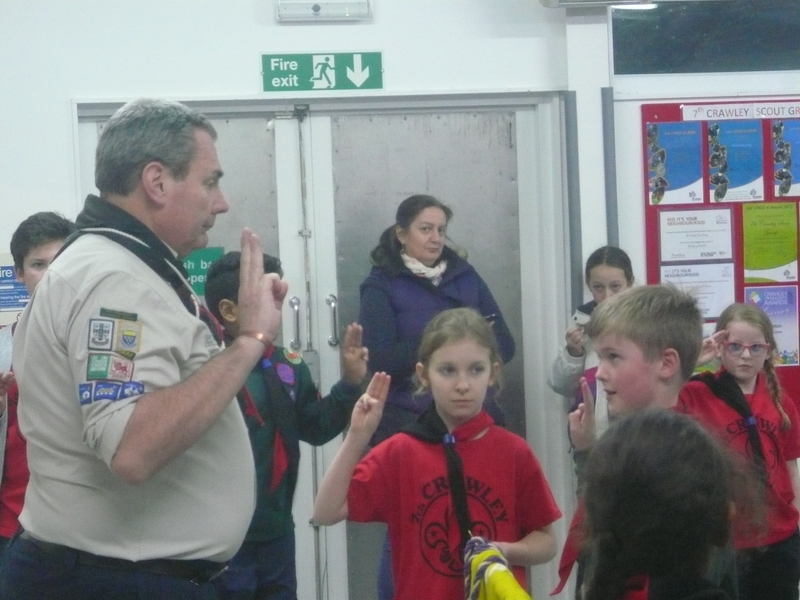 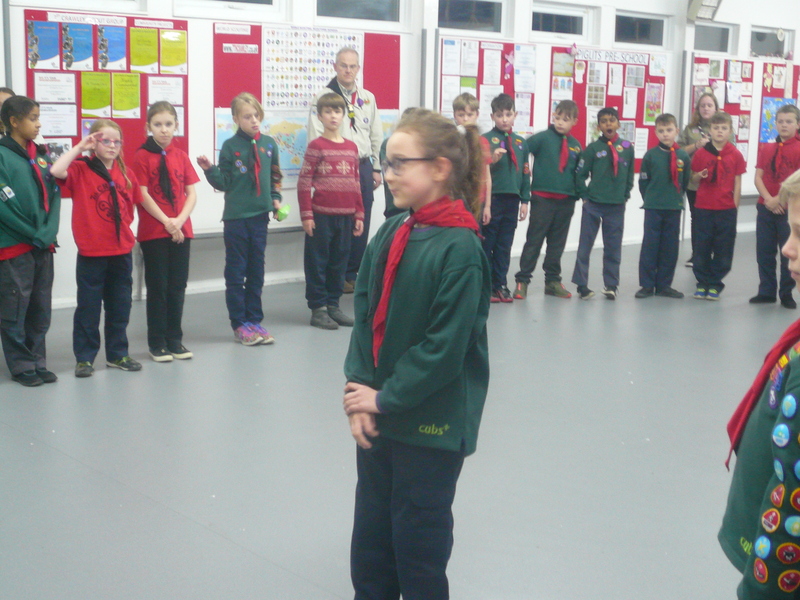 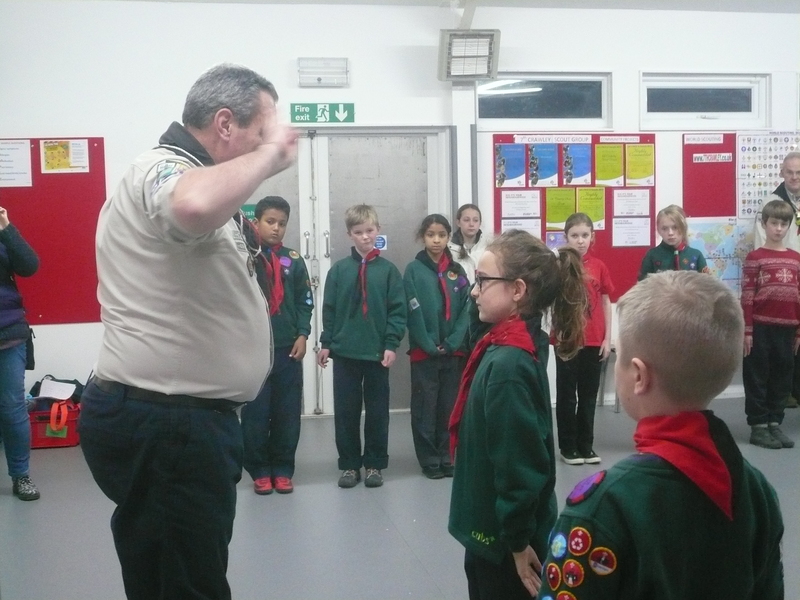 We also welcomed James who started with us tonight and we hope that he soon feels at home in the Pack! 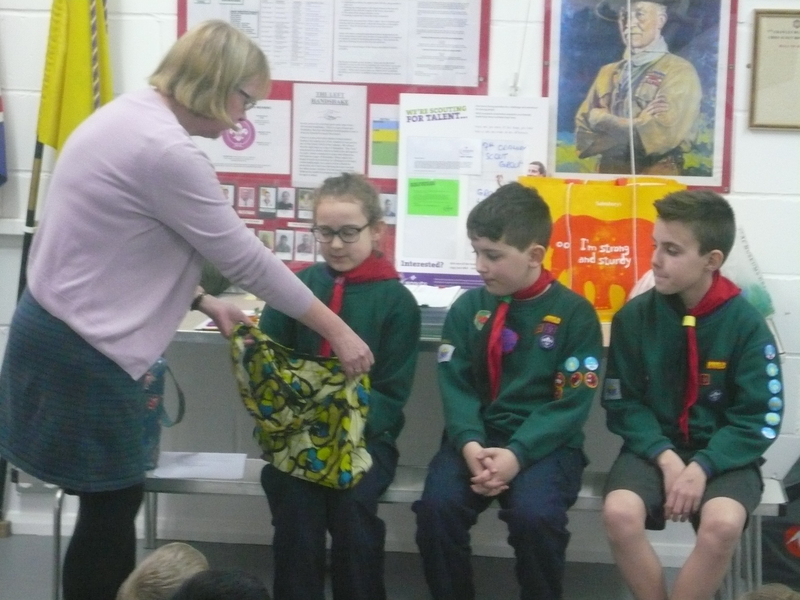 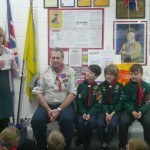 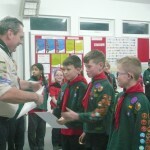 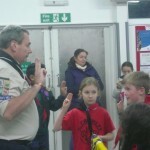 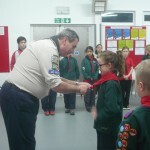 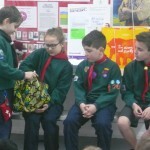 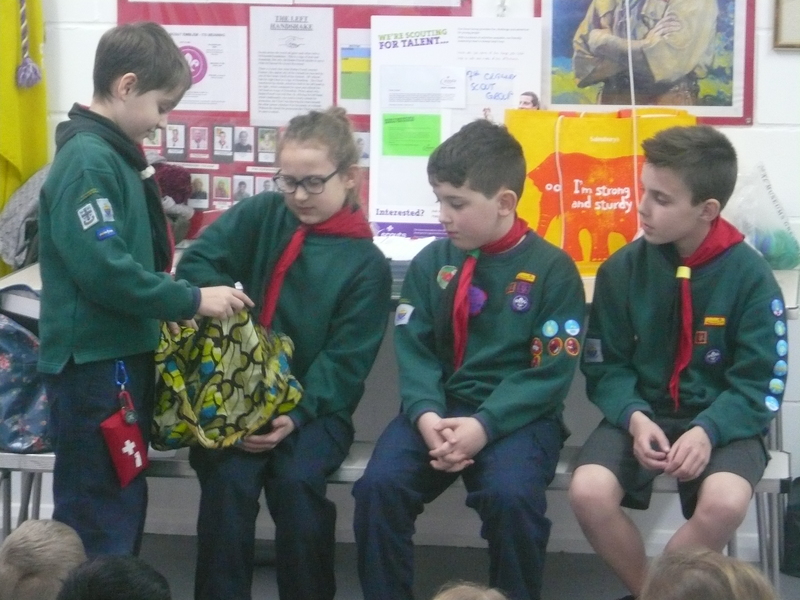 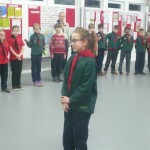 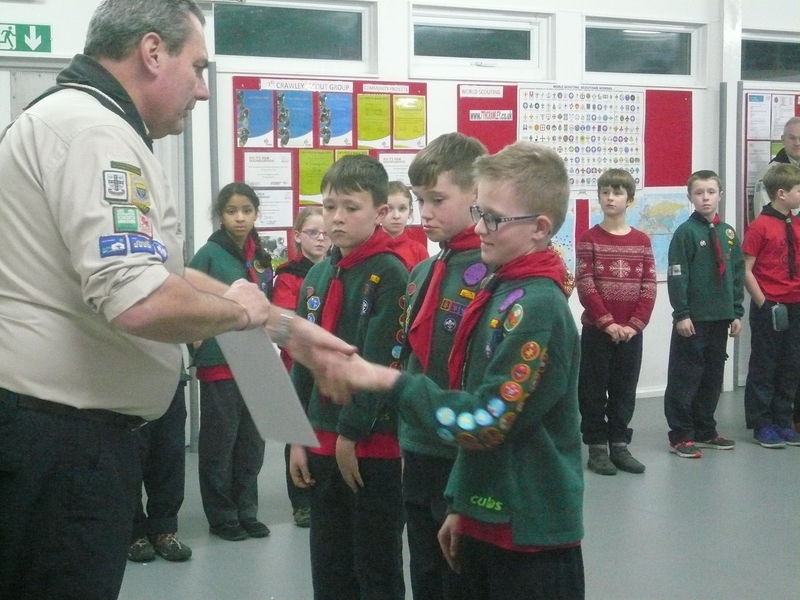 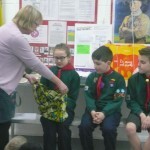 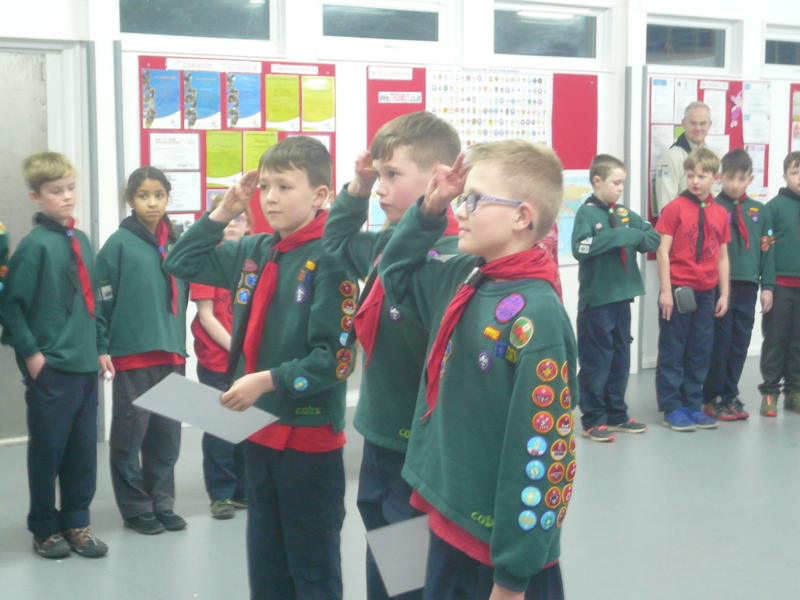 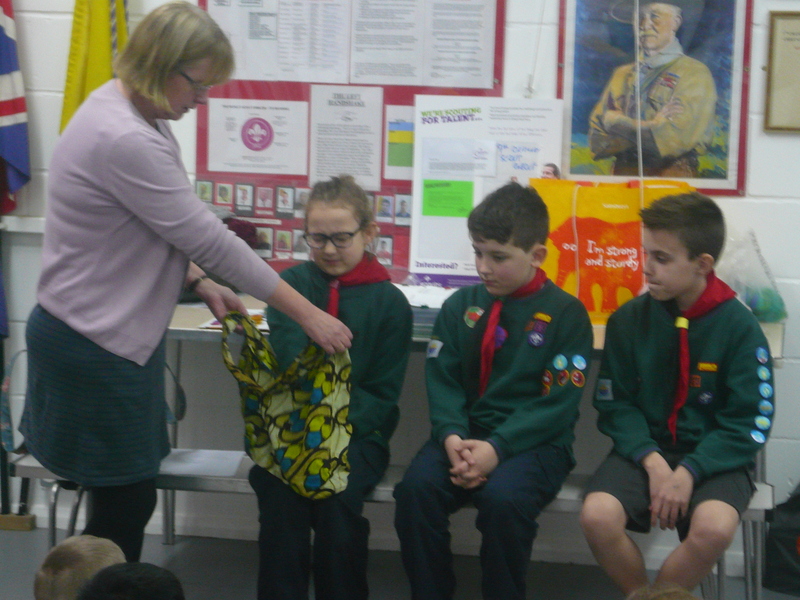 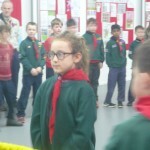 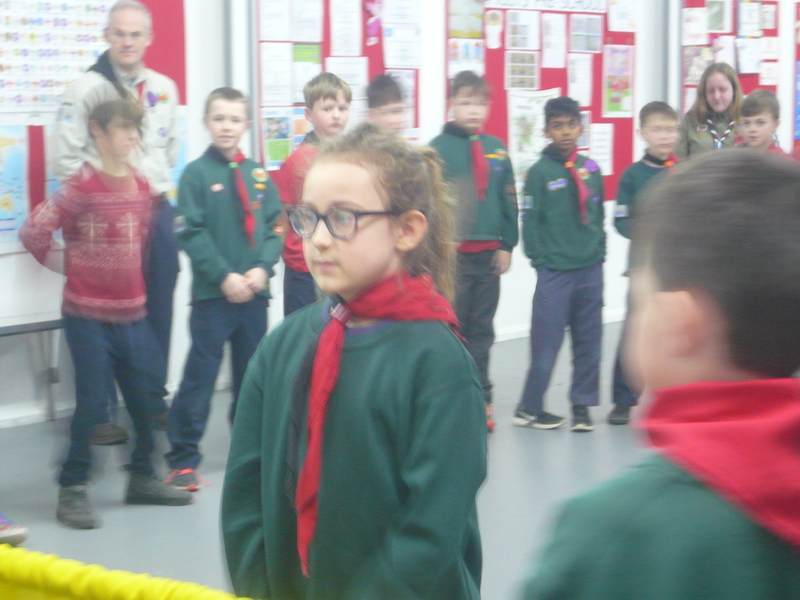 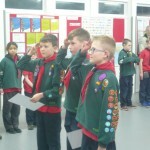 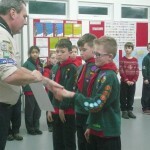 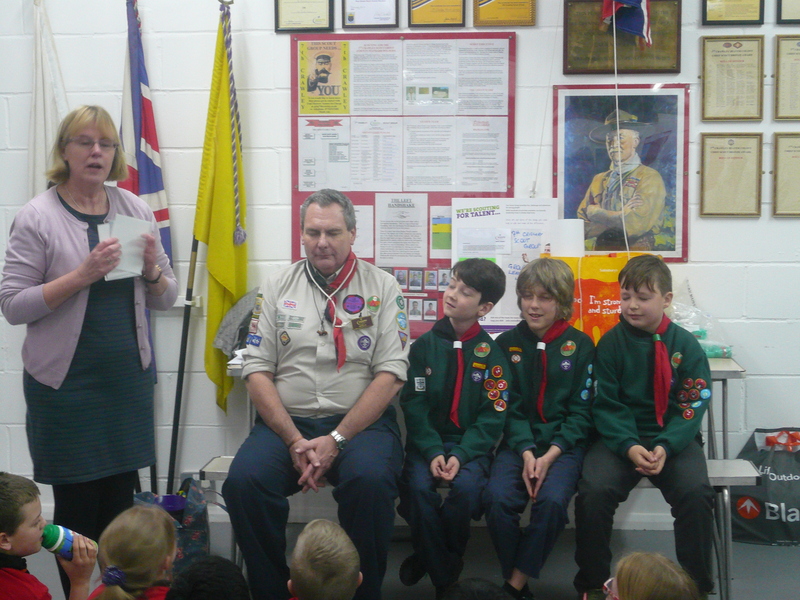 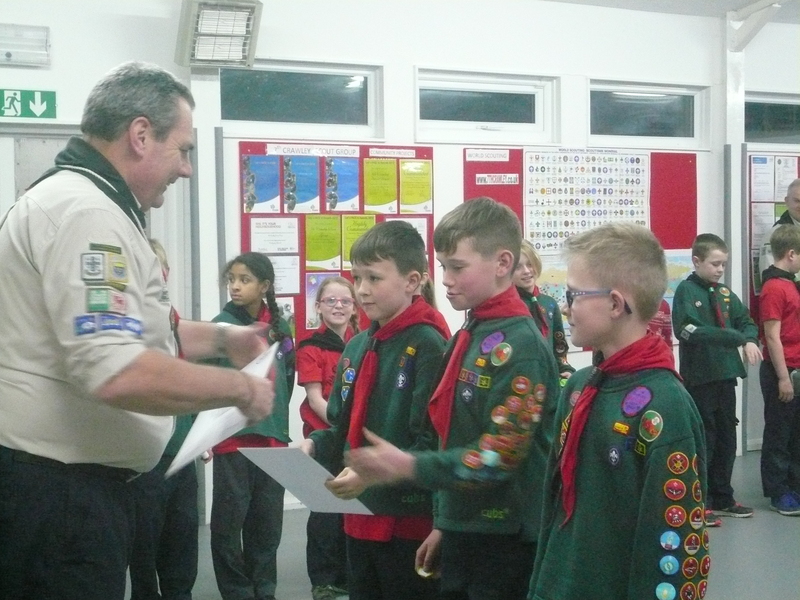 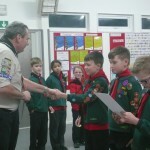 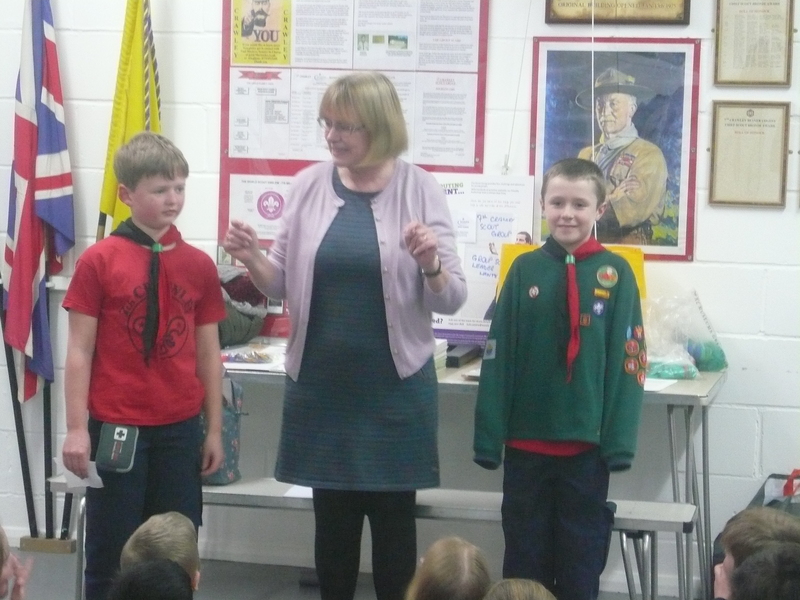 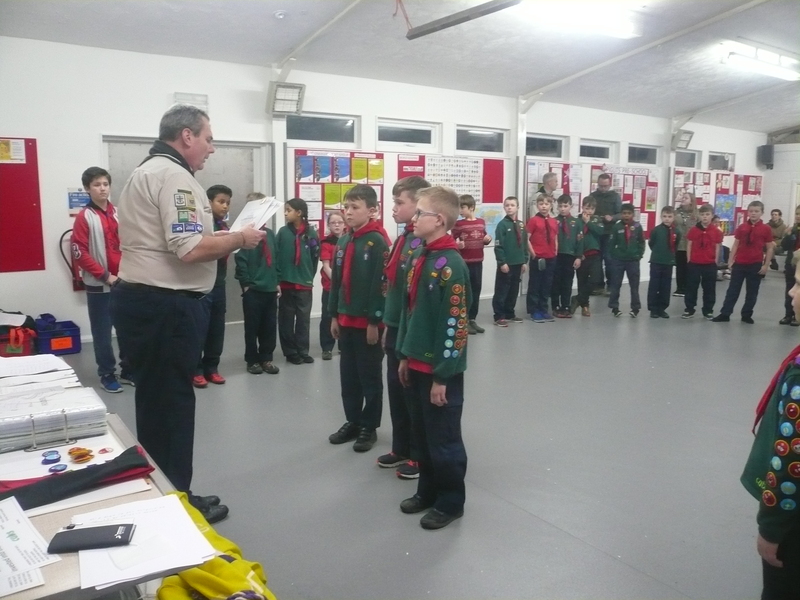 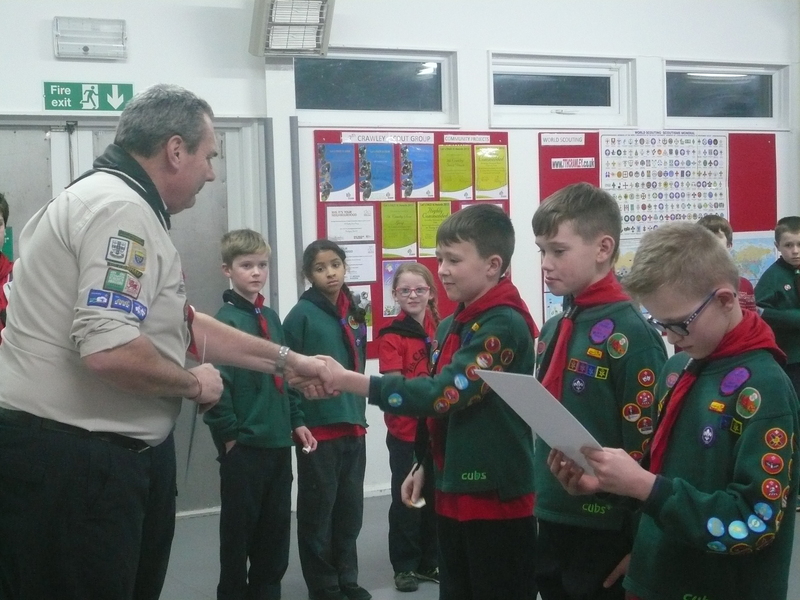 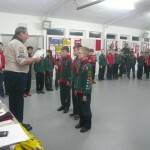 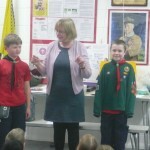 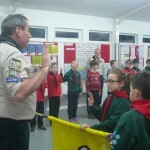 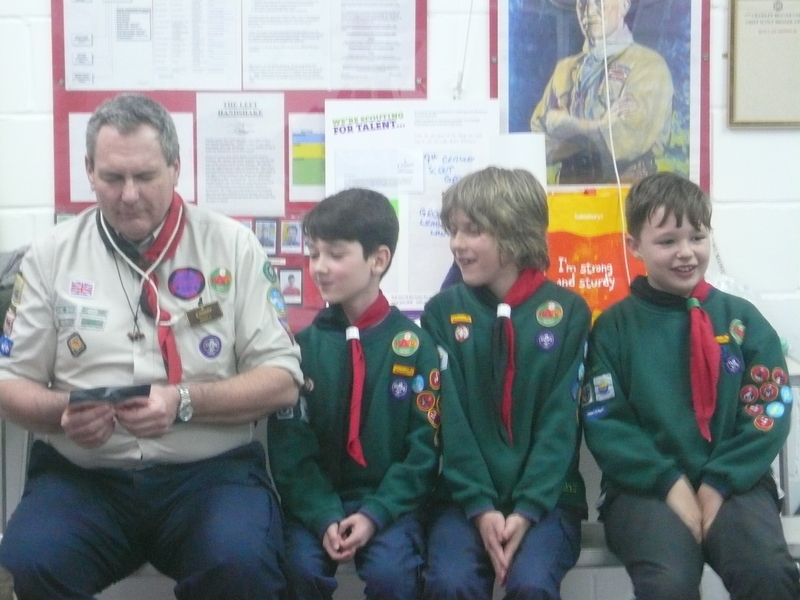 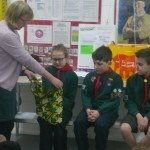 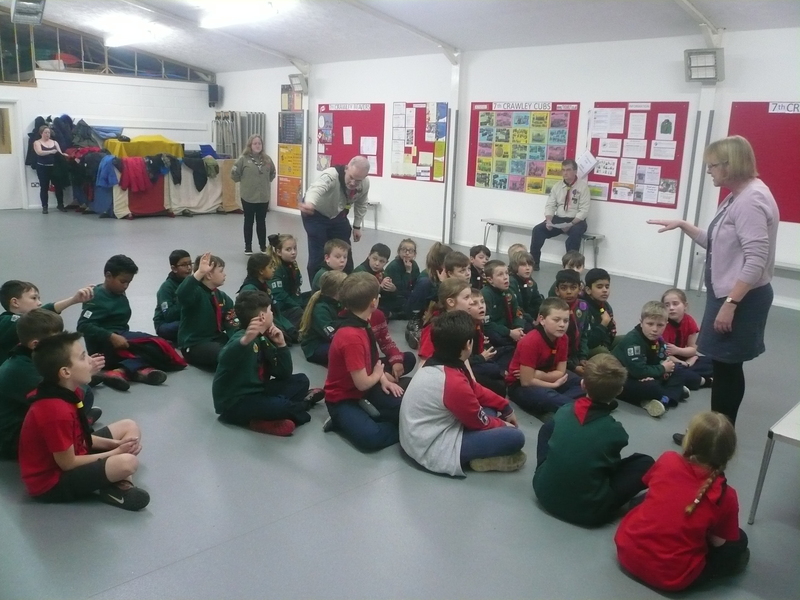 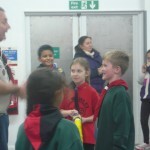 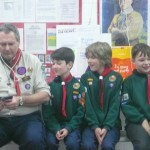 Ellis, Evan, Shaun & Scott who, having recently completed the Chief Scout SILVER Award (the highest award that a Cub can attain in the Pack), I had the honour of presenting their badges and certificates on behalf of the District Commissioner.